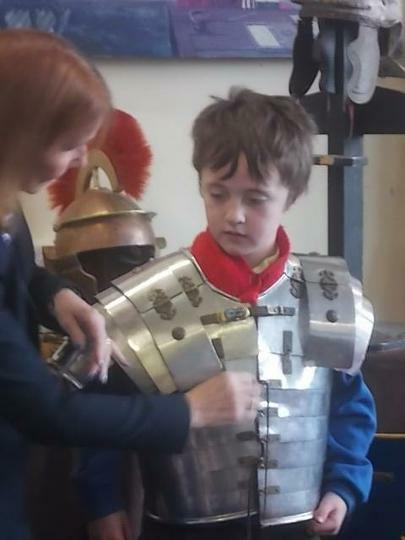 Please ensure that your child has the correct kit in school. 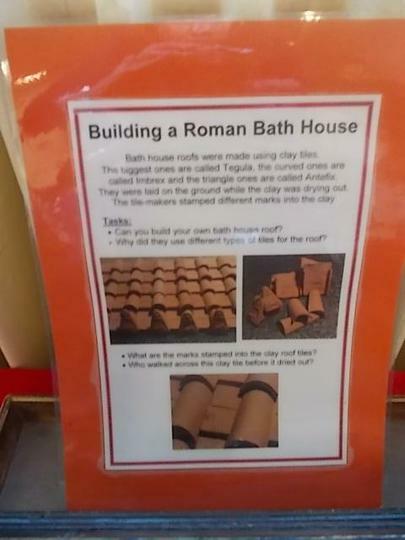 Homework is given out on Thursday and is due in the following Tuesday. 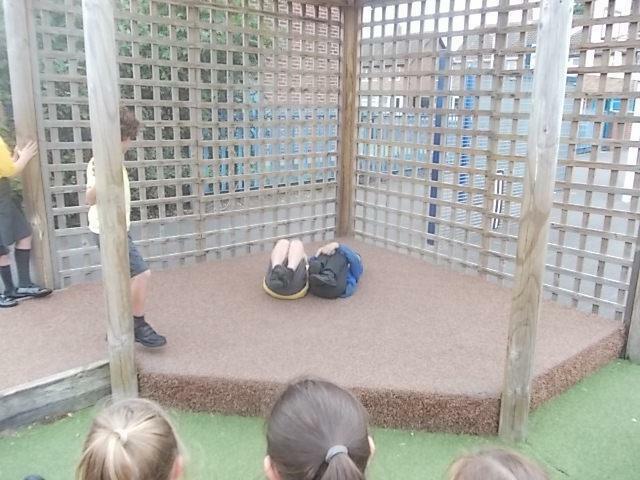 Spellings are given out on Monday to be tested a week on Thursday. 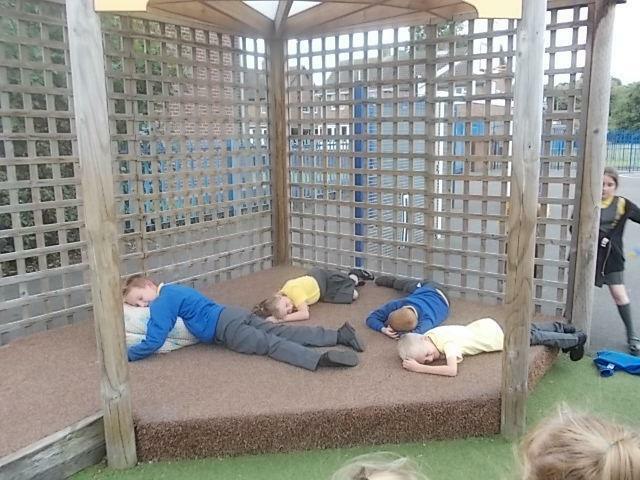 Please help support your child by listening to them read for 15 minutes every day. 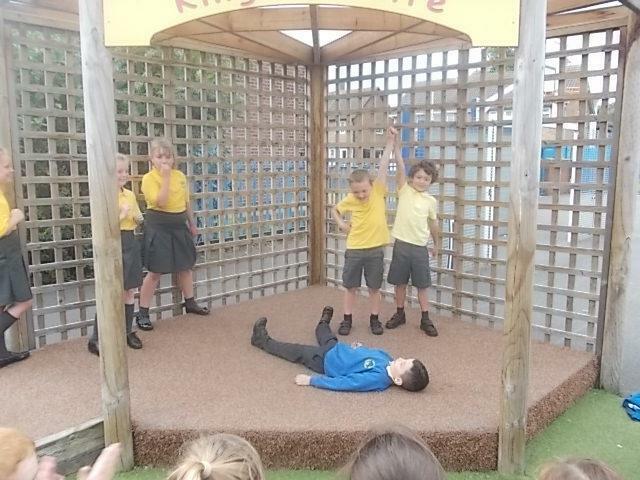 As Readers, we will study stories that raise issues and moral dilemmas. 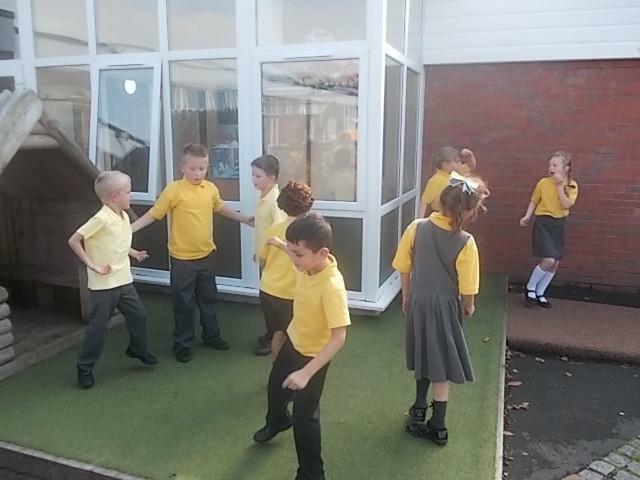 We will read a variety of non-fiction texts to enhance our understanding of the rainforest. 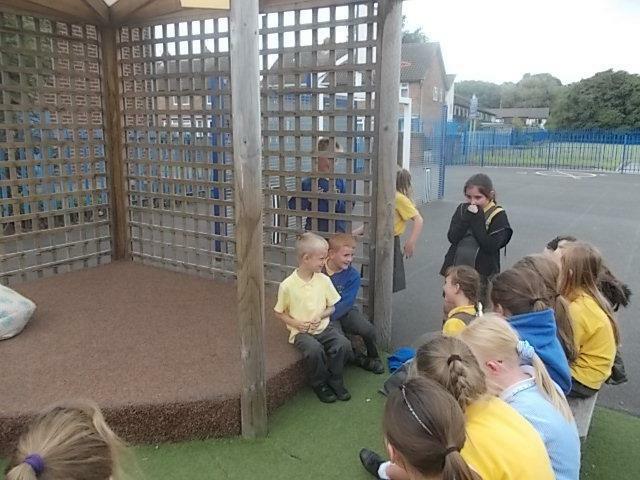 We will read the poem 'Tyger, Tyger,' by William Blake. 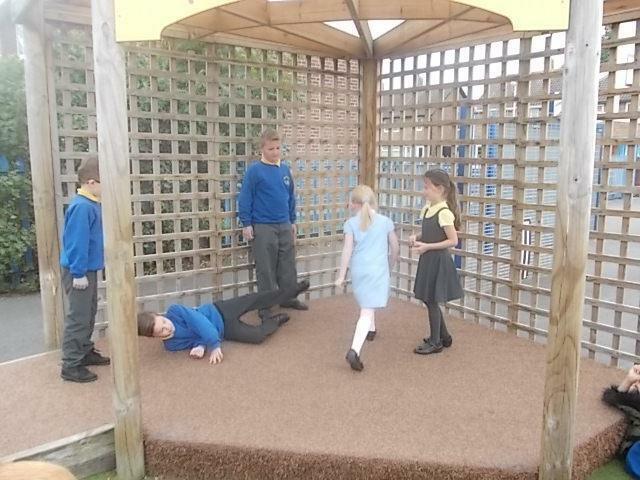 As Writers, we will continue to use complex sentences. 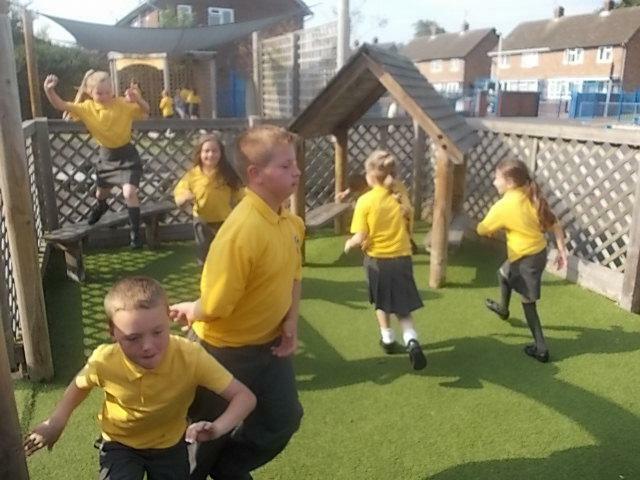 We will write detailed sentences with adverbs, verbs and fronted adverbials. 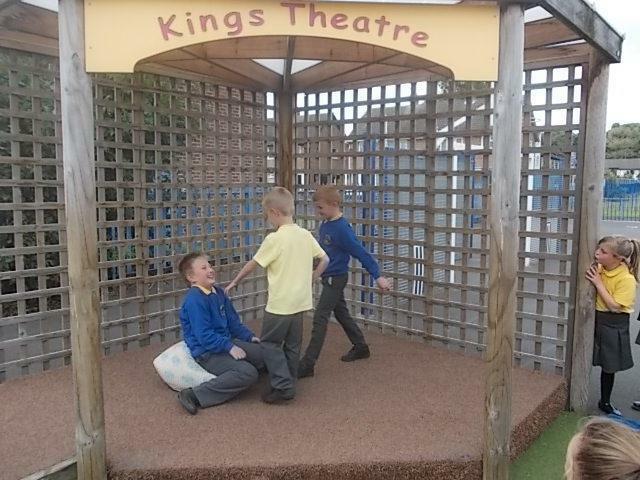 We will structure our writing into paragraphs and apply new vocabulary to make it more interesting. 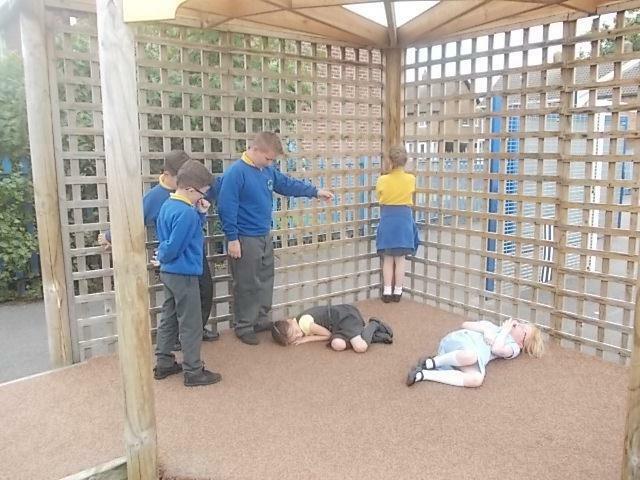 We will write a story with a moral dilemma. 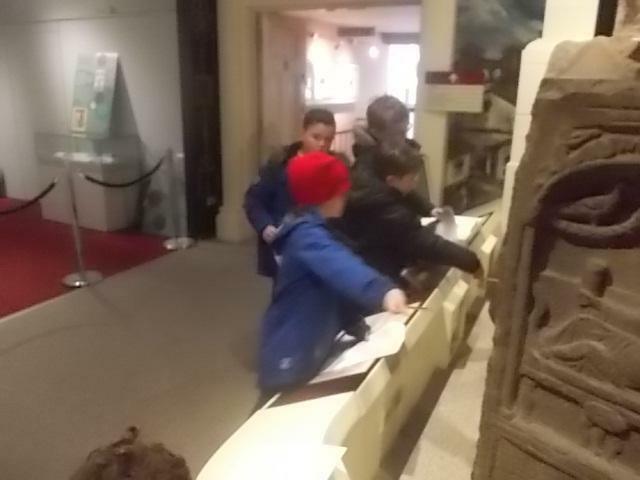 We will write information texts. 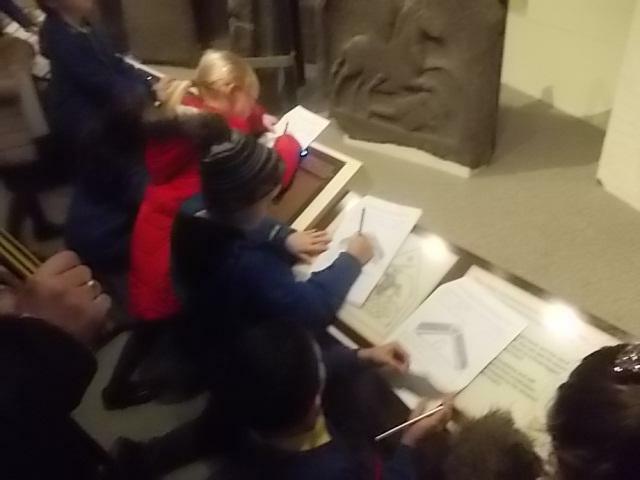 We will write persuasive texts. 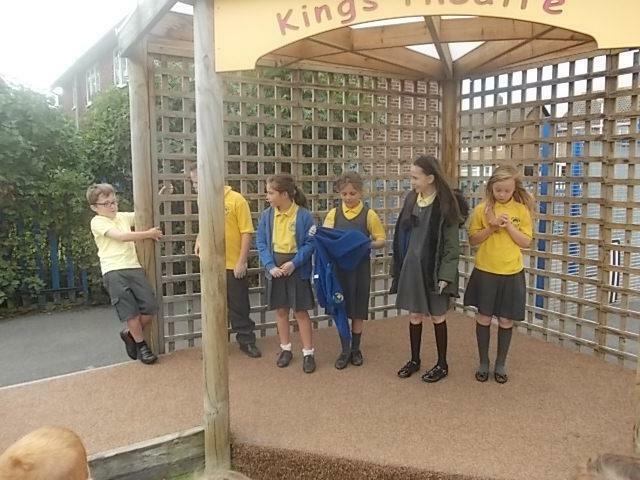 As Actors, we will role play the story of the Great Kapok Tree as animals. 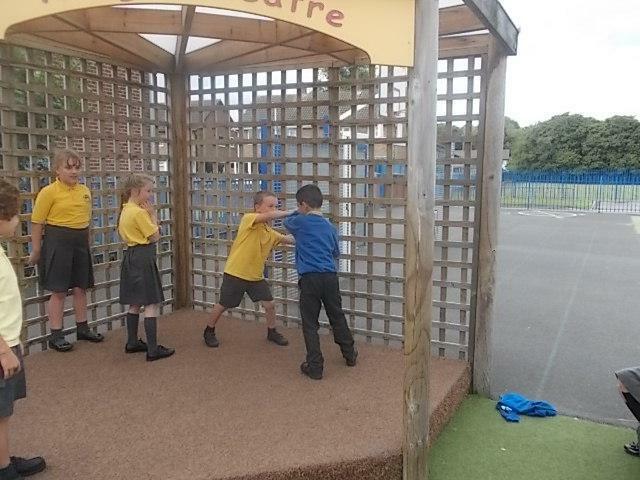 We will debate the important issues to save and protect the rainforest. 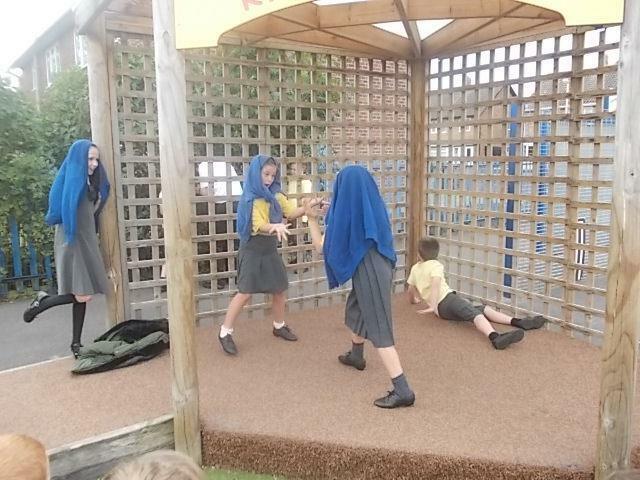 We will create weather forecasts based on the climate of rainforests. 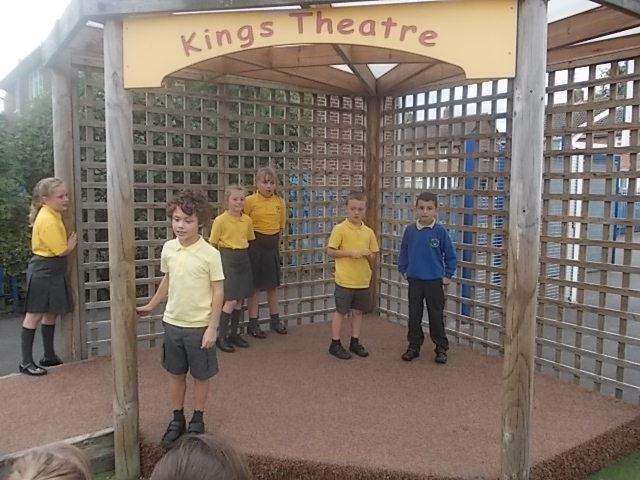 We will perform a poem. 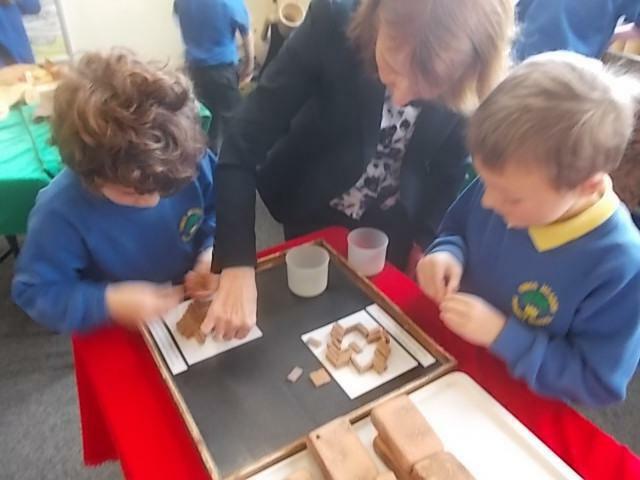 As Mathematicians, we will learn about place value and add and subtract mentally. 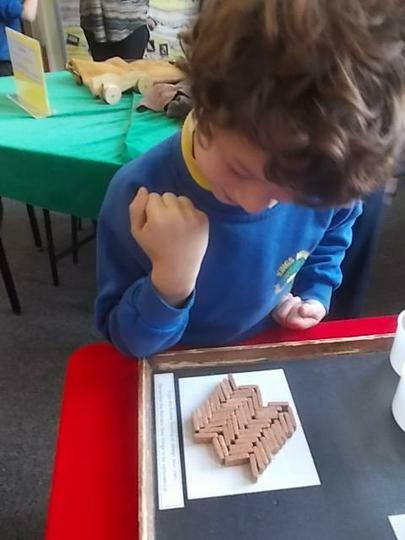 We will explore symmetrical shapes and reflect symmetrical patterns. 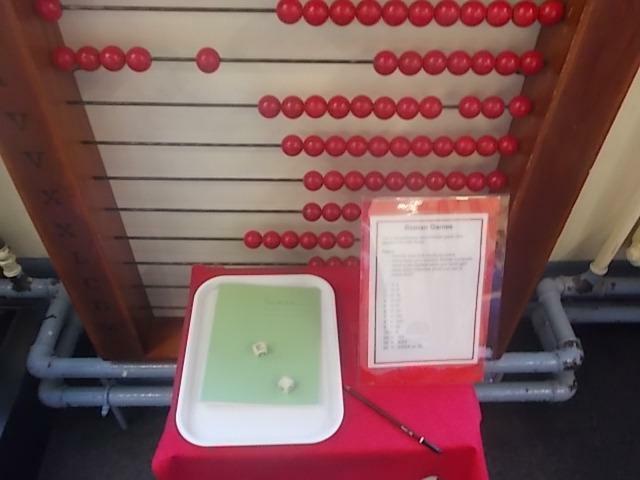 We will develop our recall of times tables including x6 and x9. 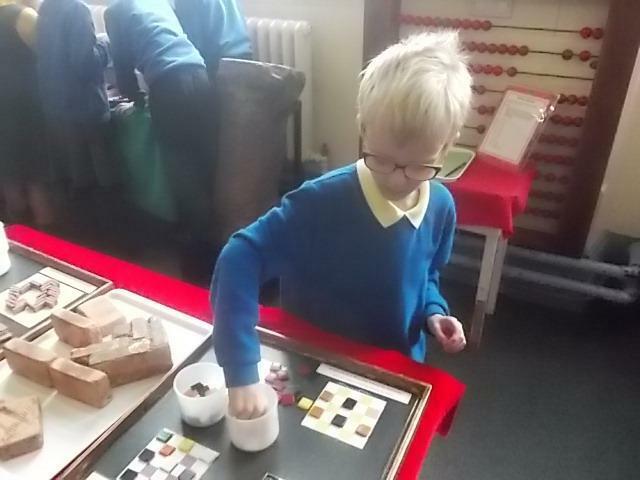 We will expand our knowledge of fractions recognising families of common equivalent fractions. 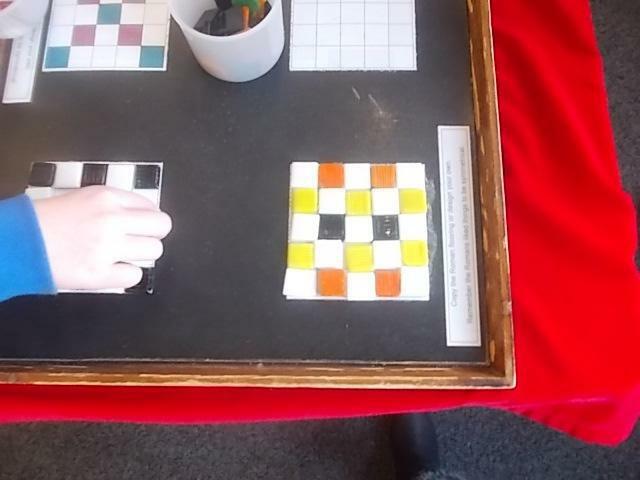 We will estimate and compare using different units of measure and learn to convert between them. 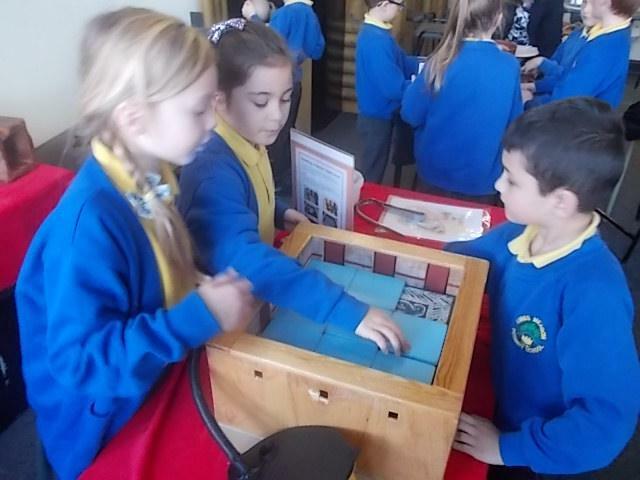 We will develop our understanding of time and reading the time from analogue and digital clocks. 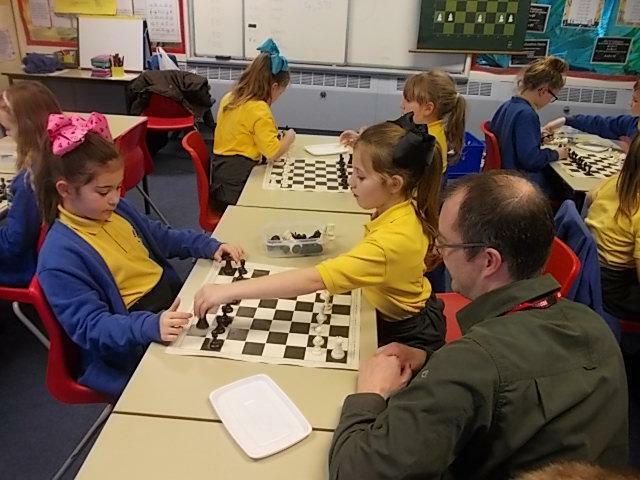 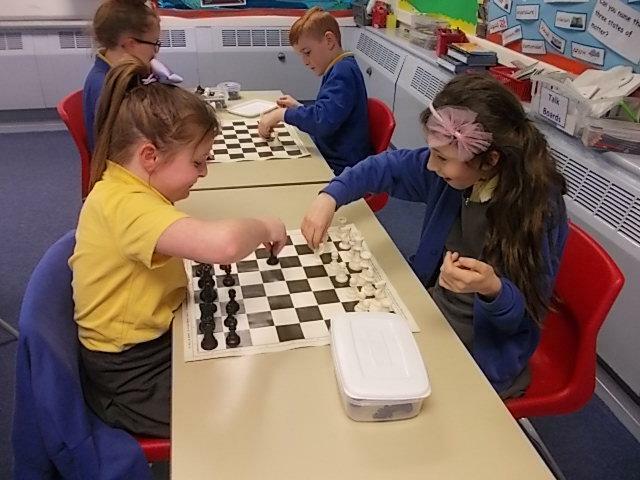 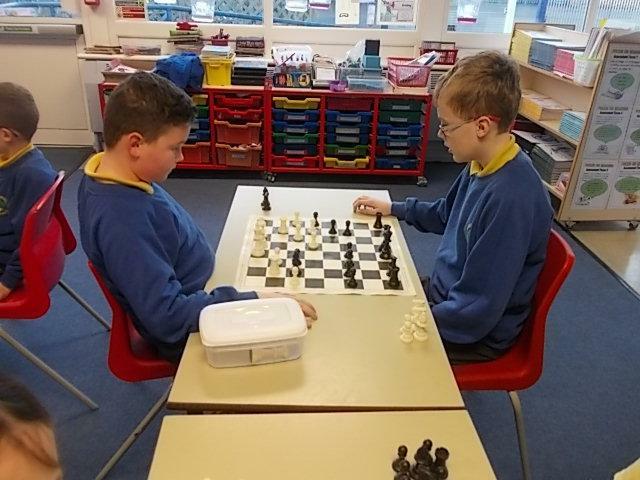 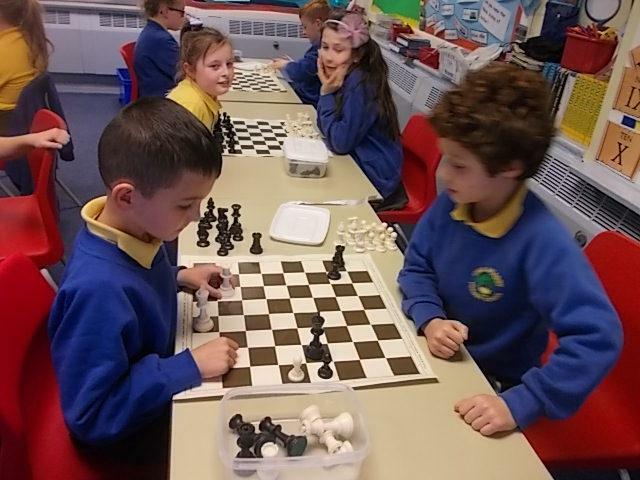 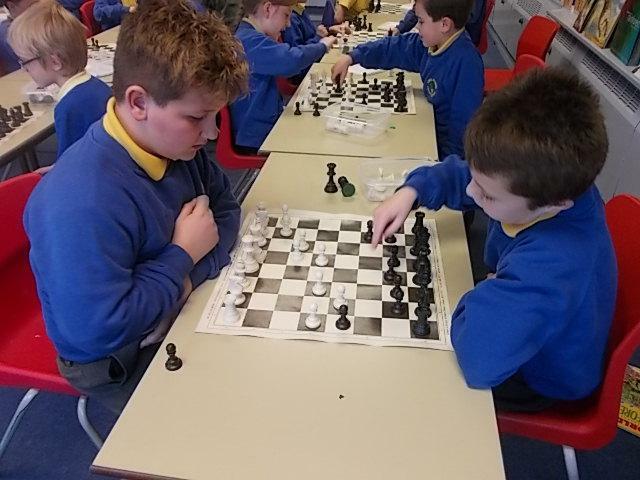 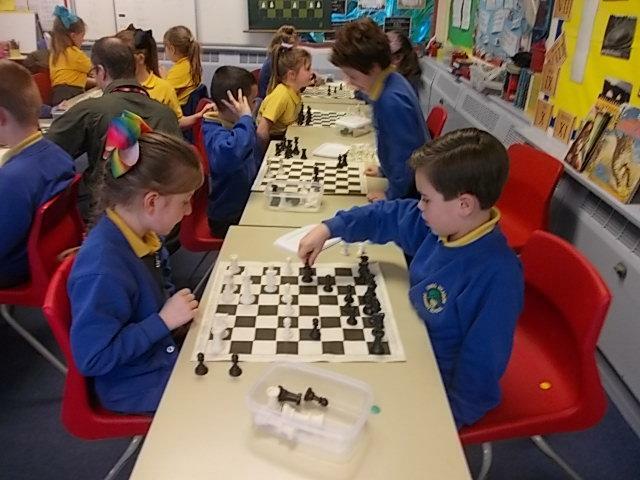 This term we will also learn to play Chess. 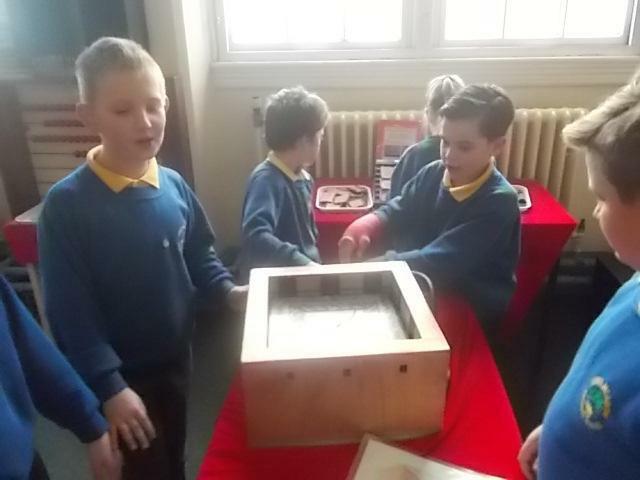 As Historians, we will study how rainforests have changed over time. 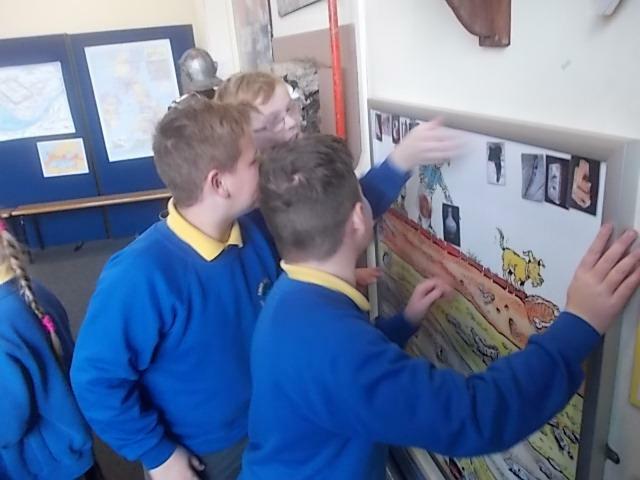 As Geographers, we will uses atlases to locate rainforests of the world. 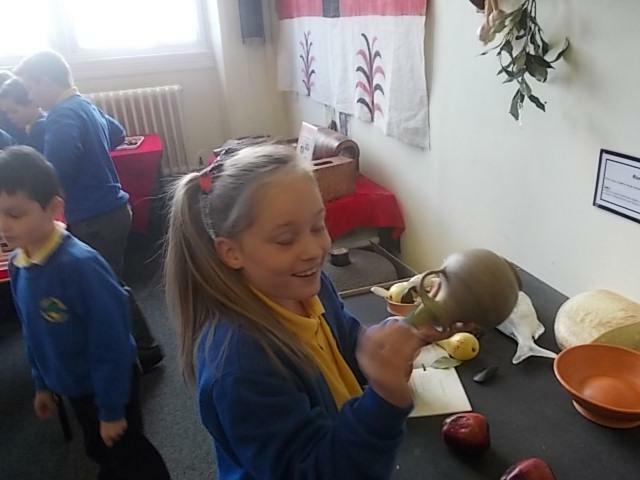 We will learn about the Equator and Tropic of Capricorn and Cancer. 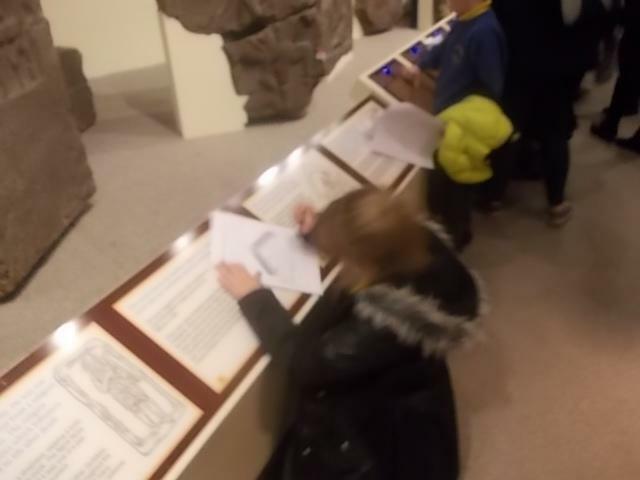 We will extend our knowledge to identify the continents of the world. 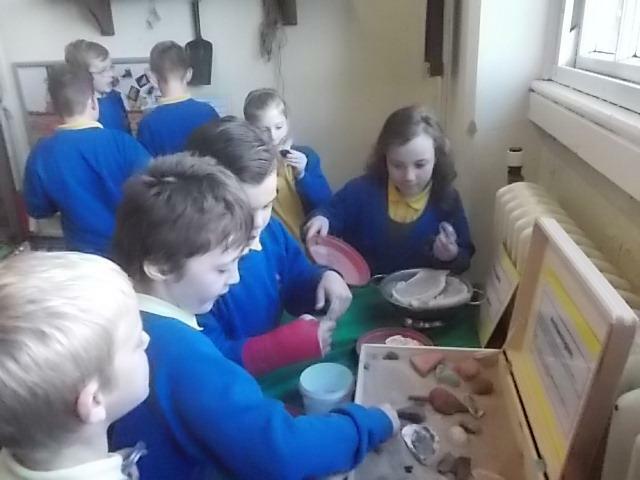 We will know the difference between weather and climate. 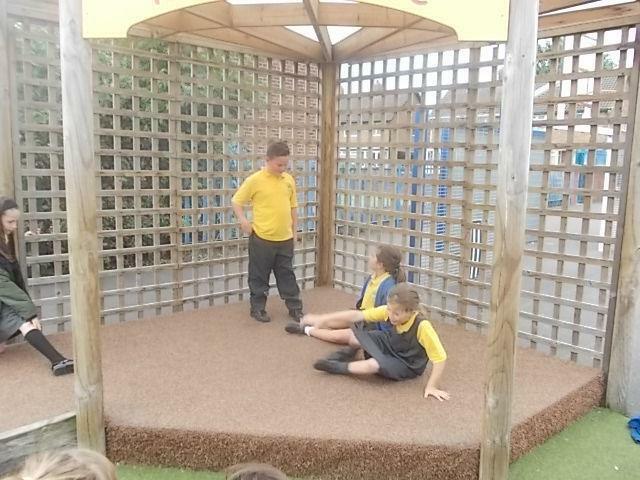 We will be able to describe the climate in rainforests. 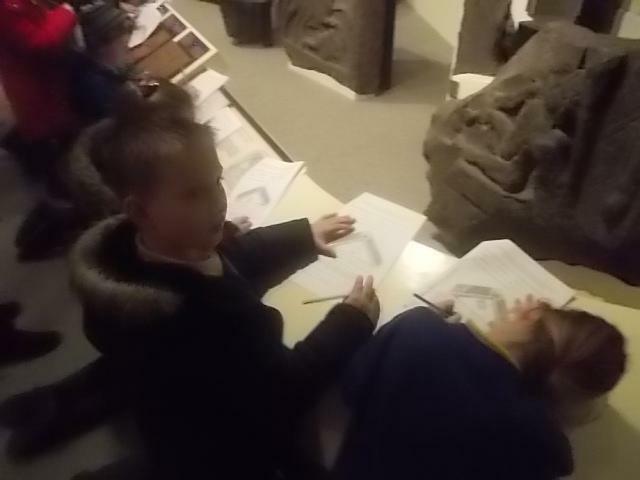 As Artists and Designers, we will draw tropical rainforest plants. 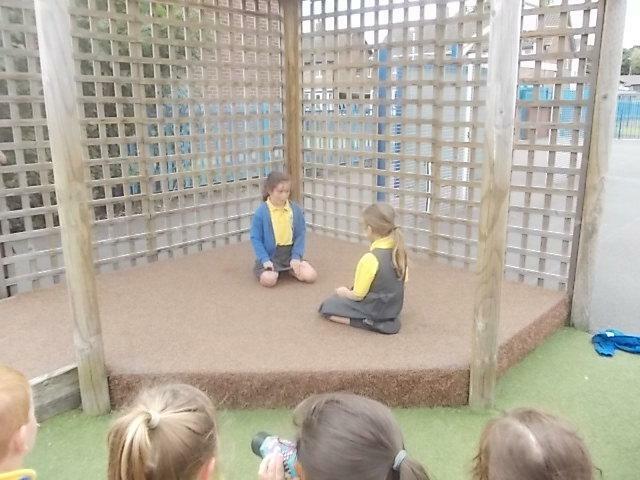 We will create shades of green. 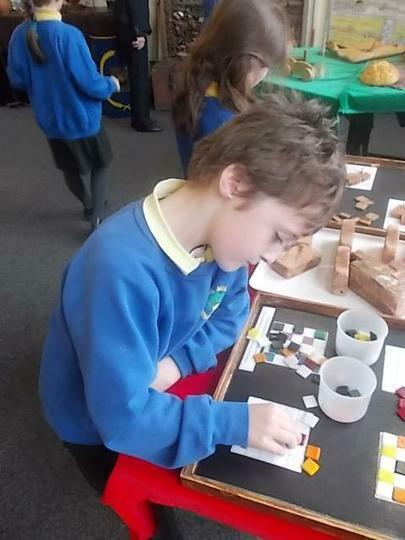 We will study illustrations and create our own rainforest paintings. 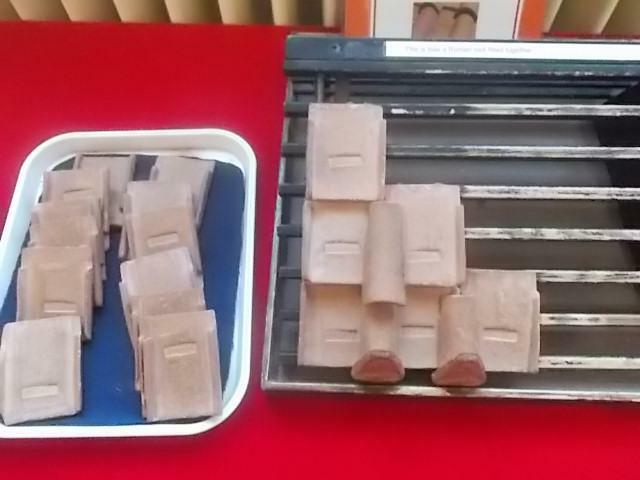 We will use tile printing techniques to print. 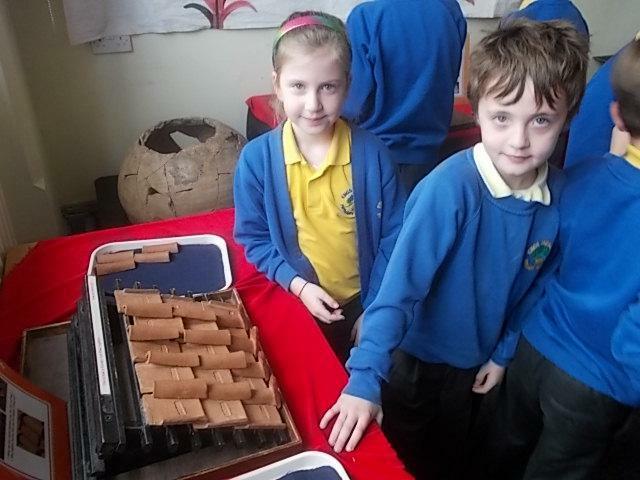 As Musicians, we will learn to play the Glockenspiel. 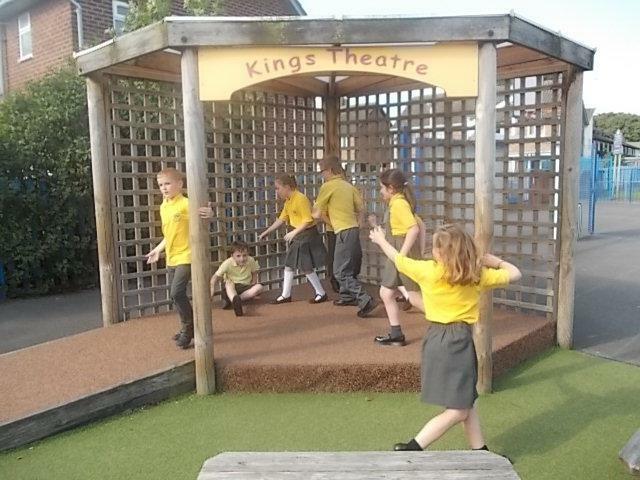 We will learn and perform the 'Layers in the Rainforest,' song. 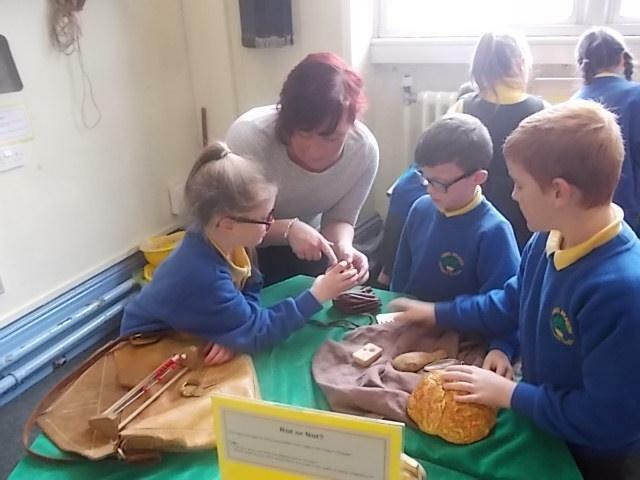 We will create motifs using instruments to represent the sounds of the rainforest. 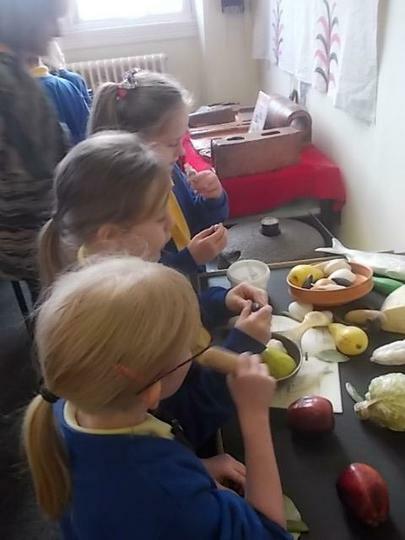 As Chefs we will create an a tropical fruit smoothie. 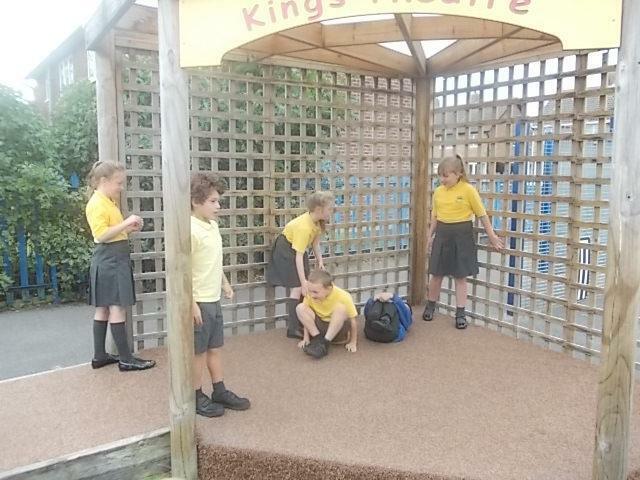 As Computing experts, we will research animals in the rainforest. 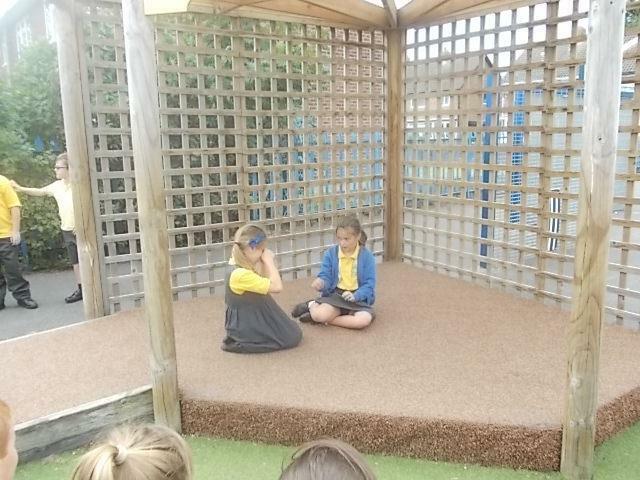 We will create a rainforest ebook. 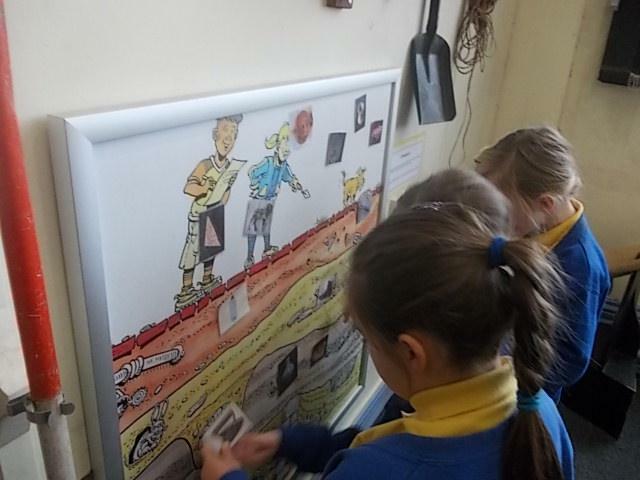 As Scientists, we will be learning about 'Animals and Humans,'- including how the digestive system works, why we have teeth and what food webs are. 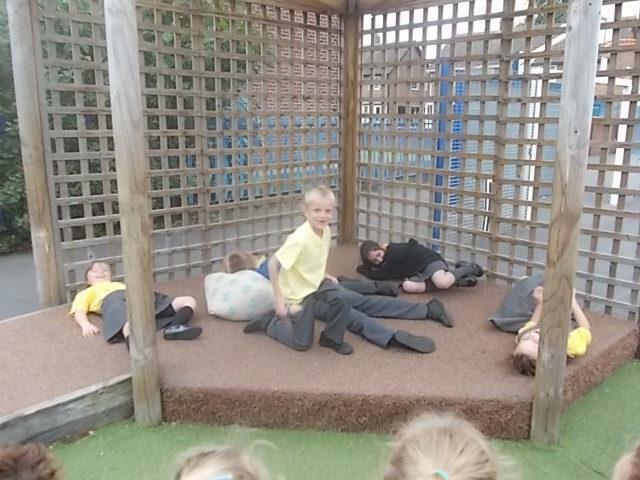 We will also study Habitats. 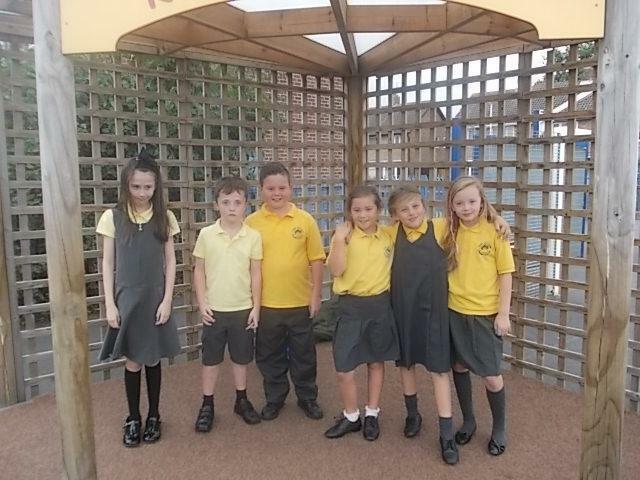 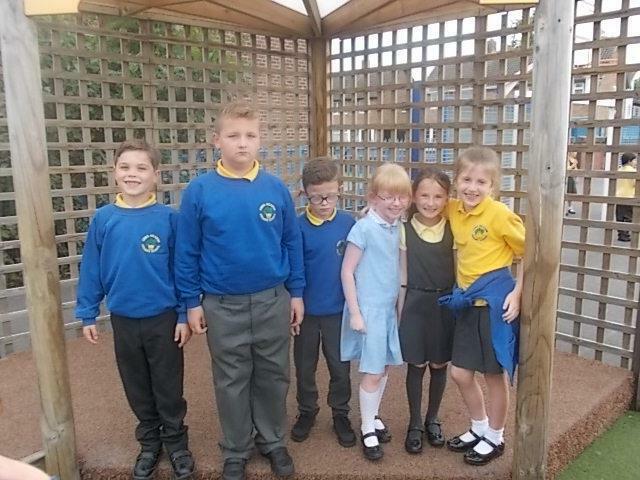 We have 5 class plants that we are going to look after. 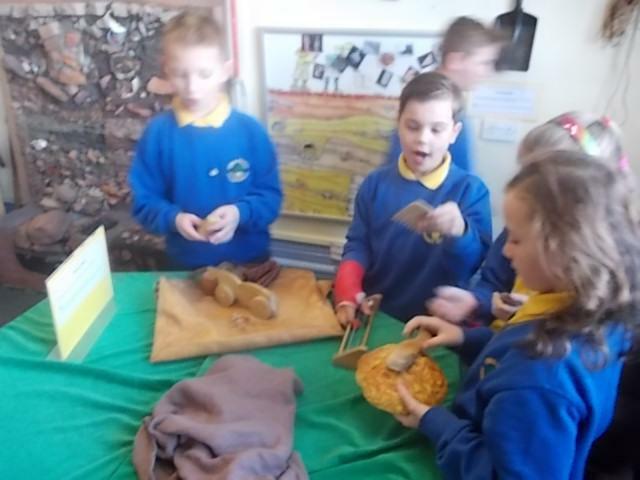 They are from the rainforest. 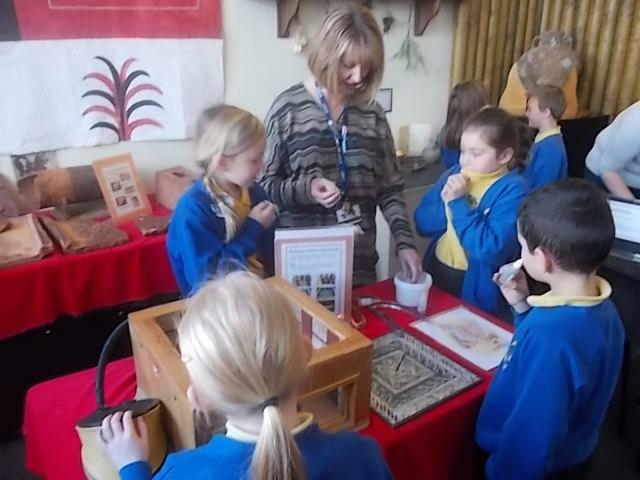 We have 4 bromeliads and an orchid. 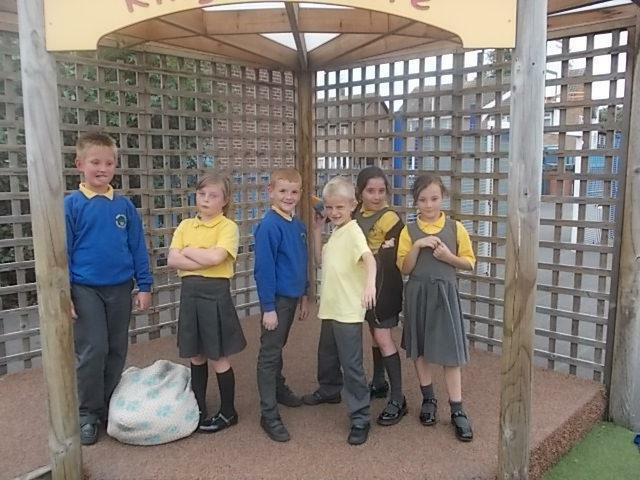 Firstly, within our group, we had to decide on a name for our plant. 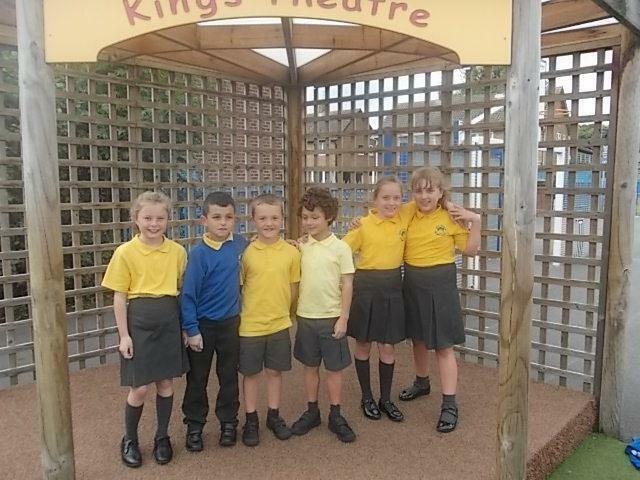 What do you think of our names? 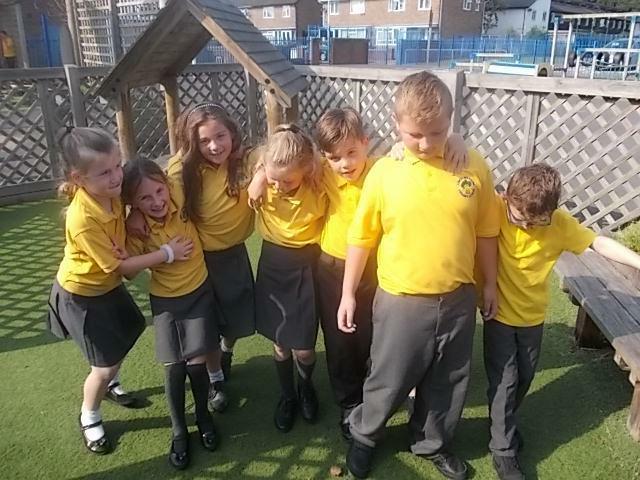 We have sketched our plants and we have researched how they adapt to life in the rainforest. 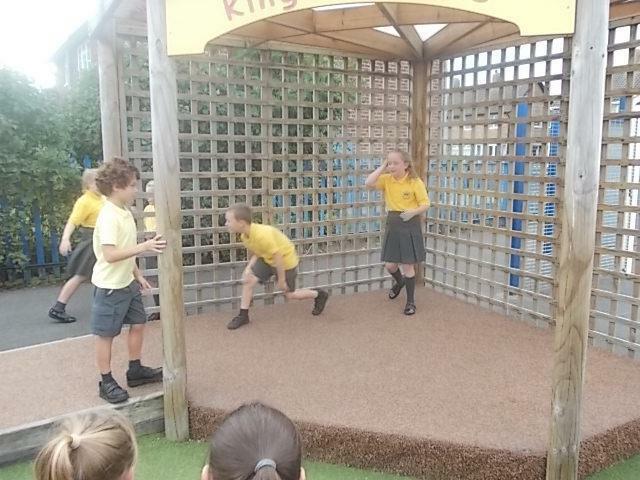 The bromeliad has large, smooth leaves to catch the rain. 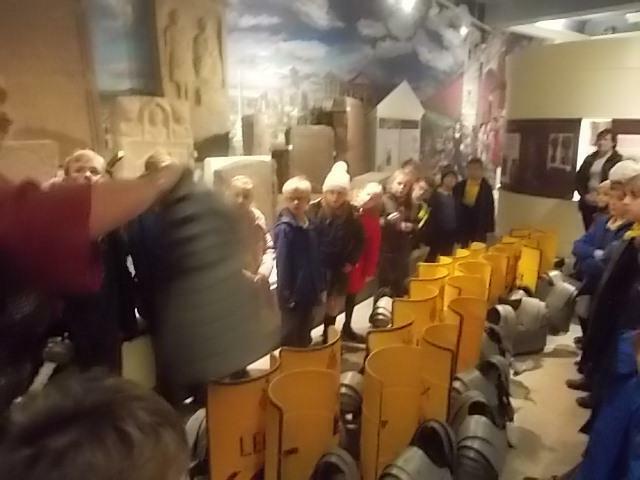 The rain then flows into its own water tank. 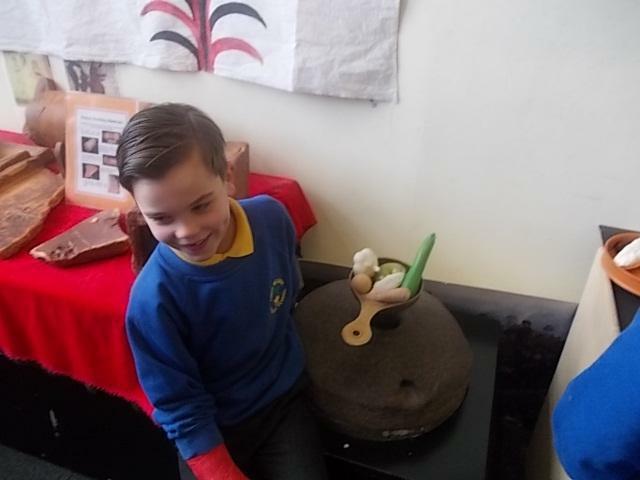 An orchid, like the bromeliad, grows on a tree. 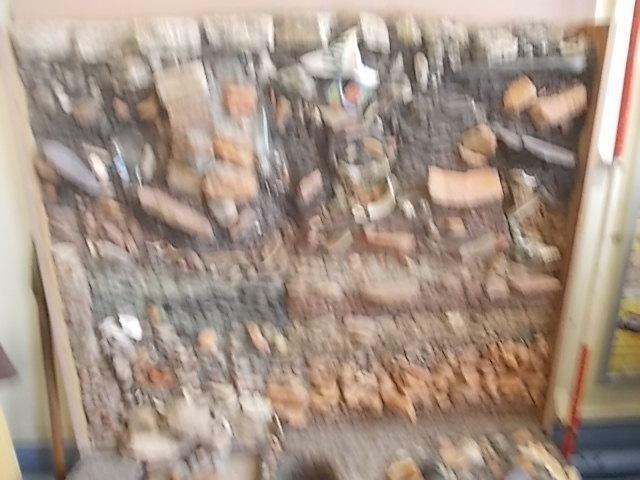 Its roots reach out and absorb the moisture in the air. 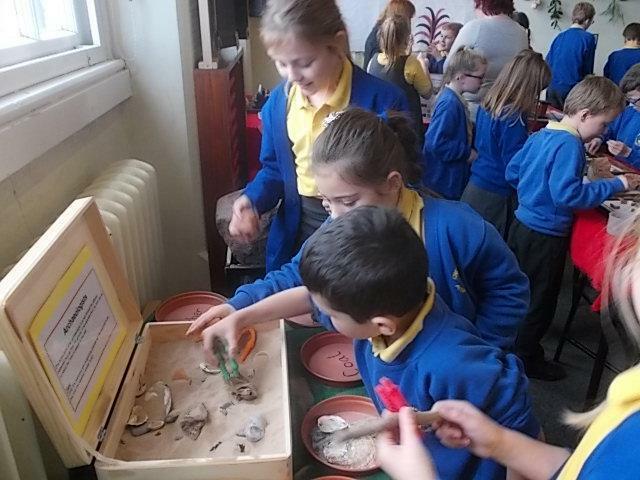 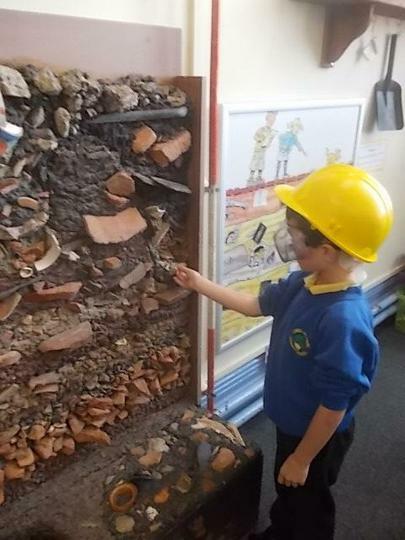 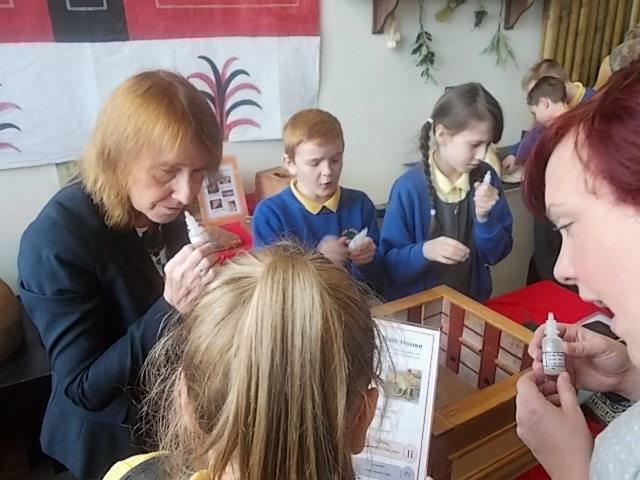 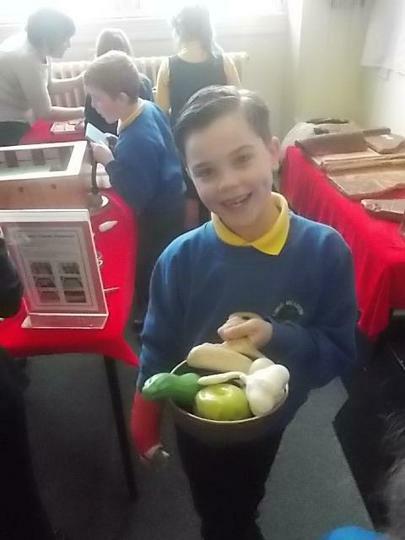 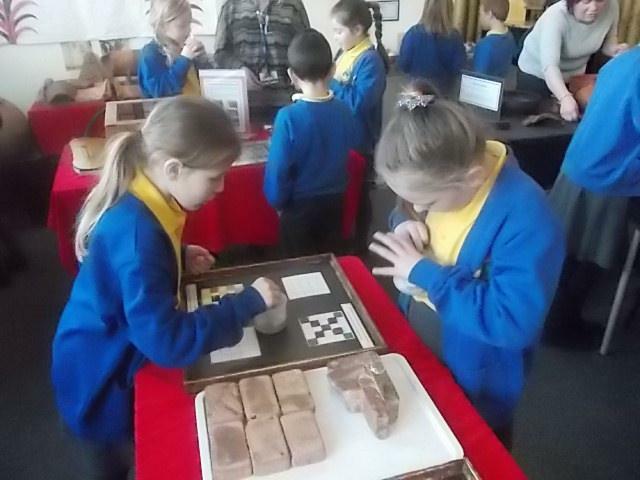 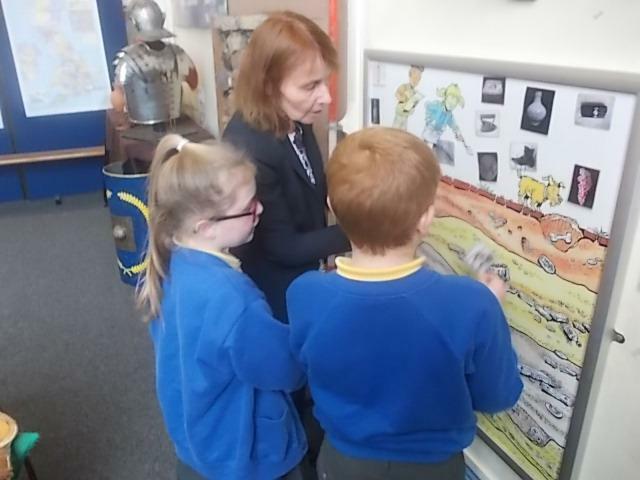 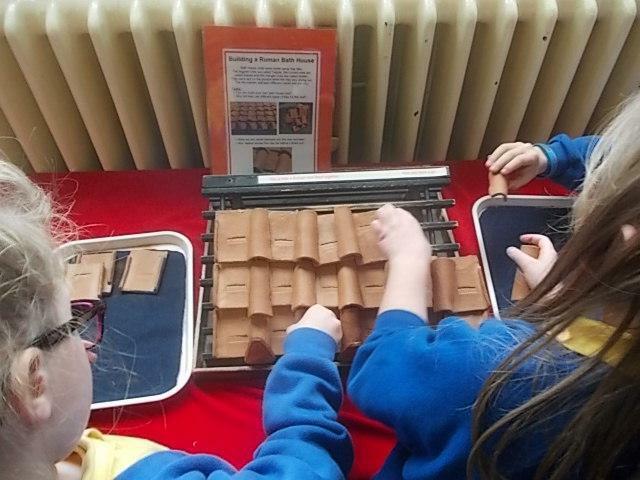 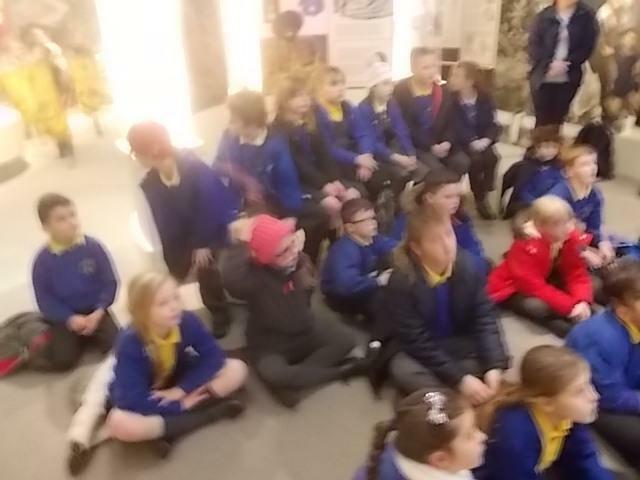 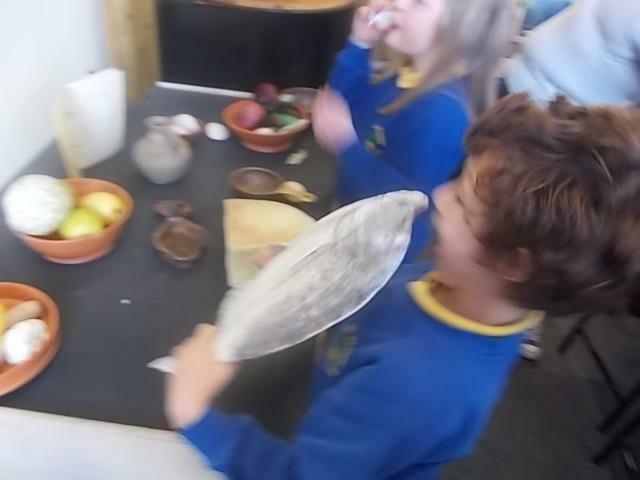 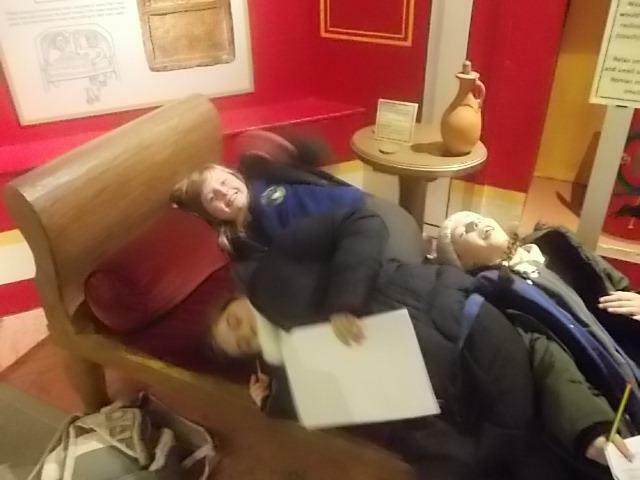 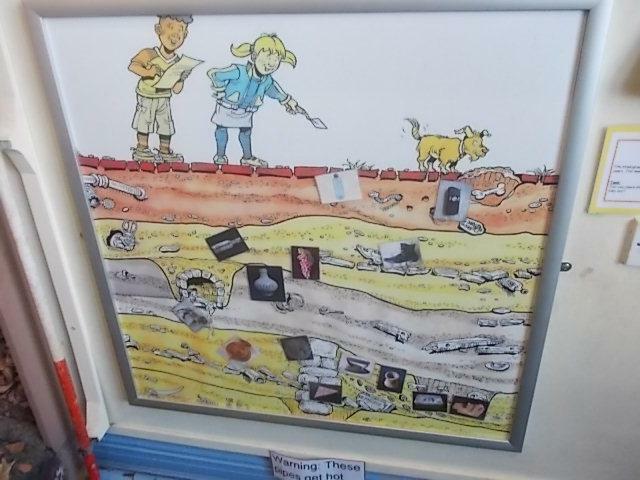 The children had a fabulous day at the Grosvenor Museum in Chester. 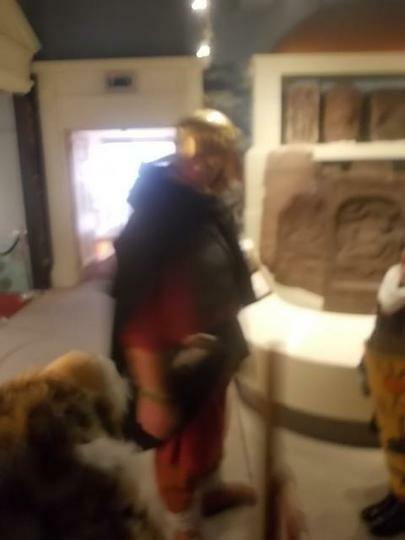 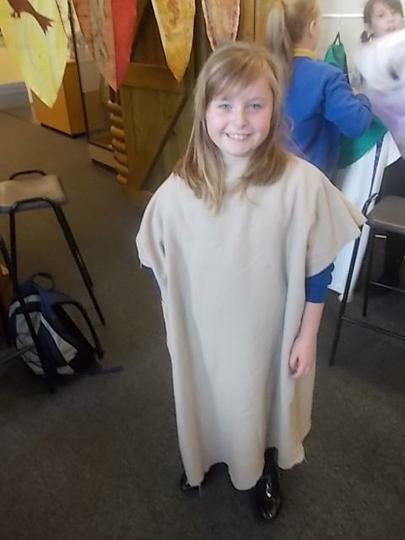 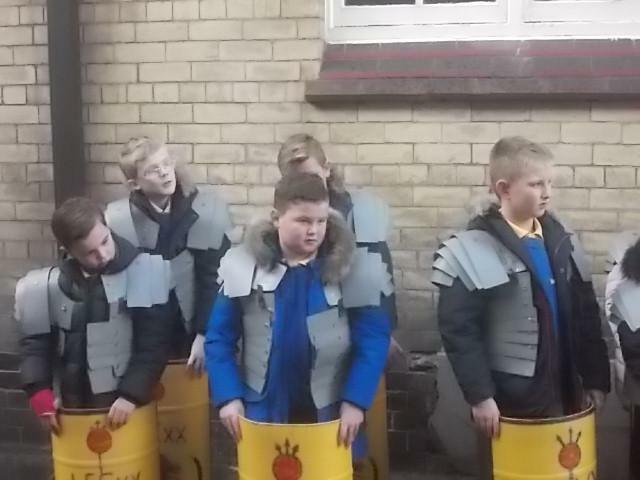 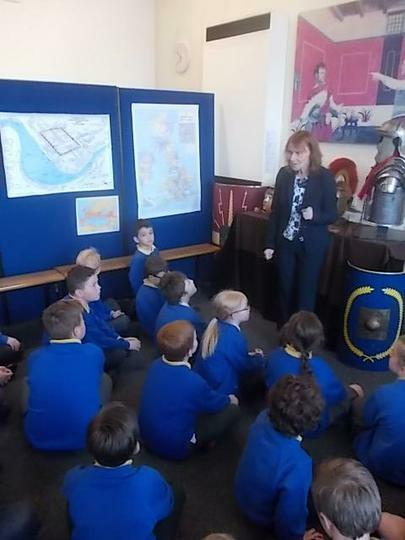 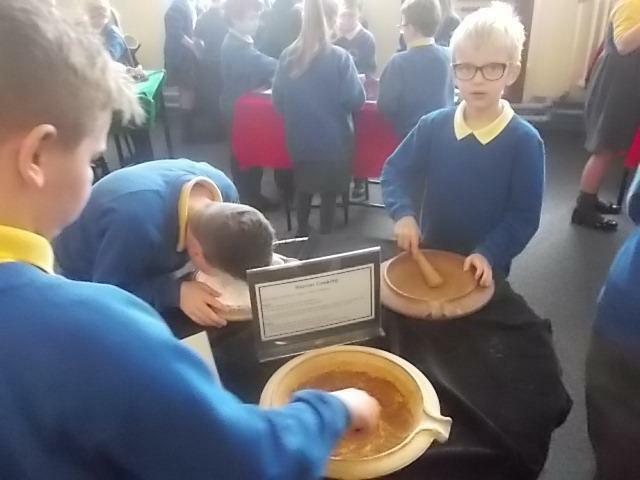 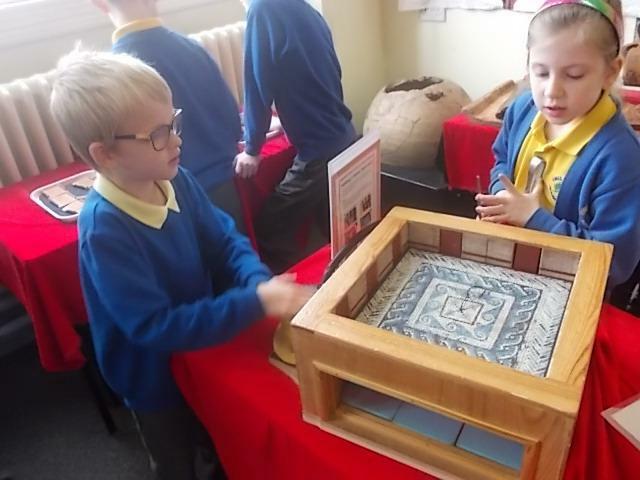 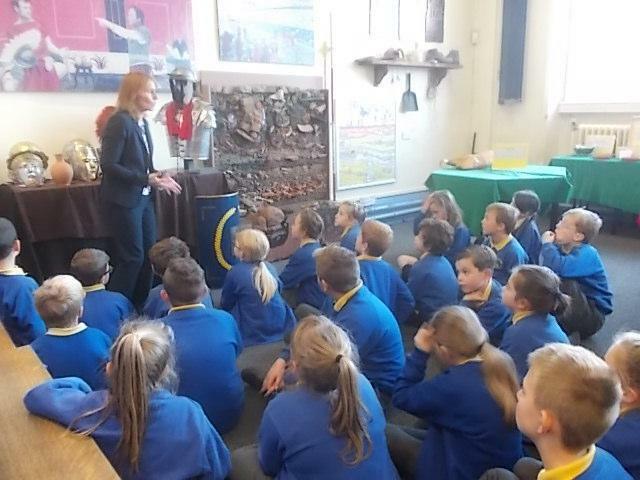 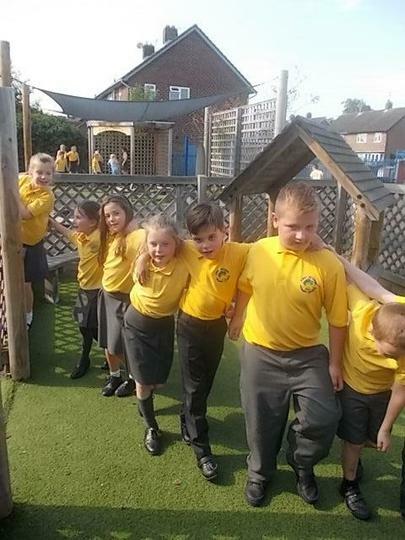 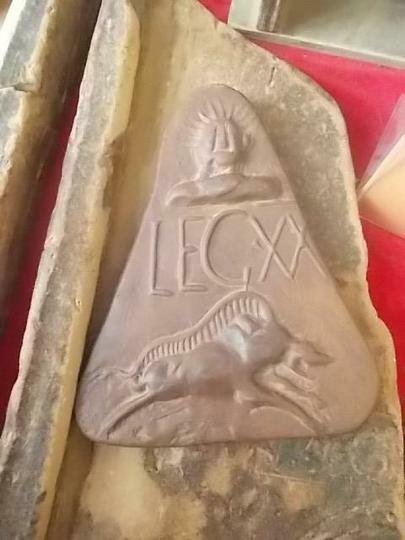 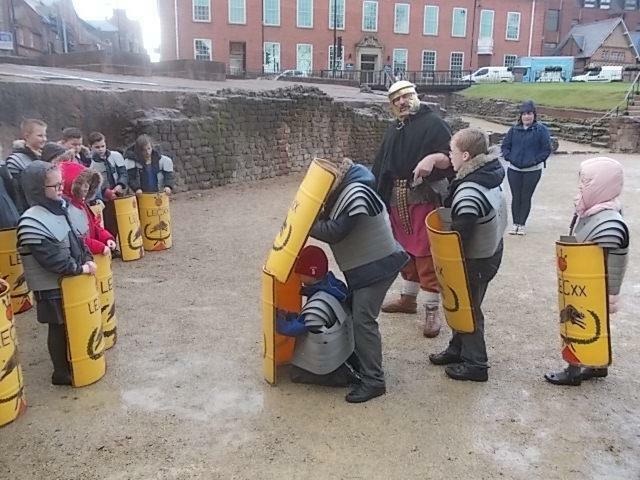 During the workshop they learnt about why Chester had one of only 3 fortresses in Britain, how much they would be paid if they joined up the Roman army, how they washed when soap hadn't been invented! 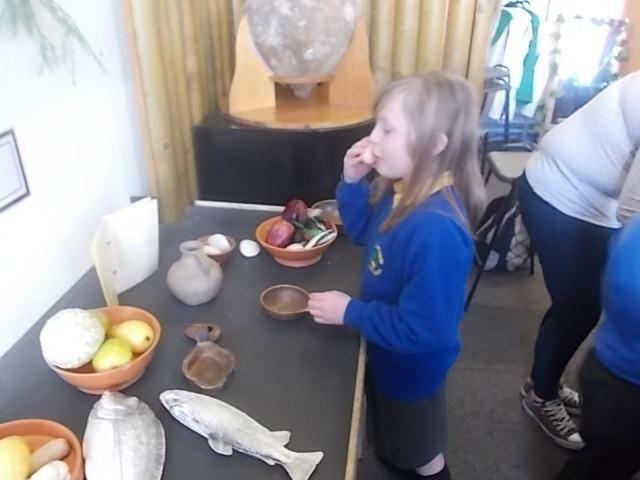 Why the Romans used fish sauce with all of their meals and what it would be like to be an archaeologist. 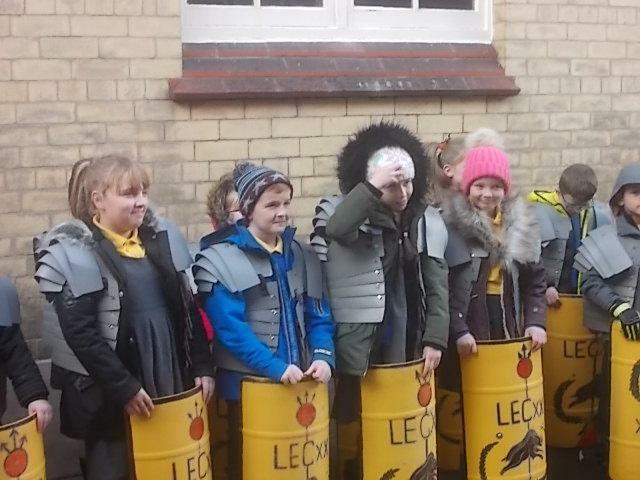 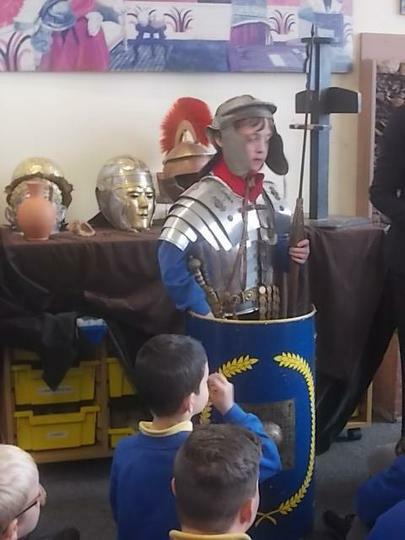 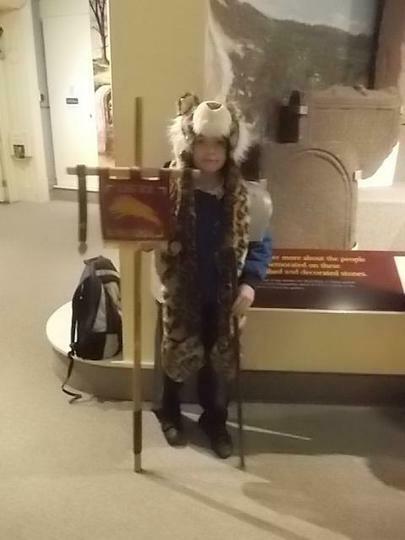 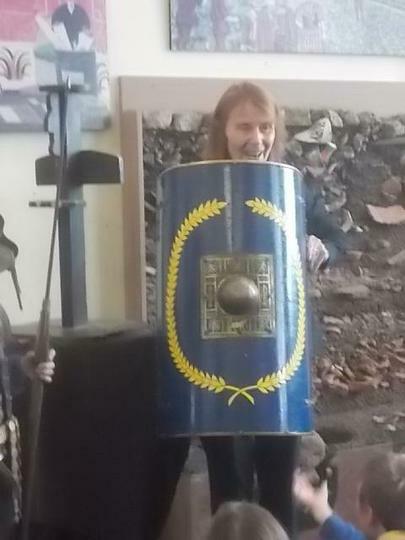 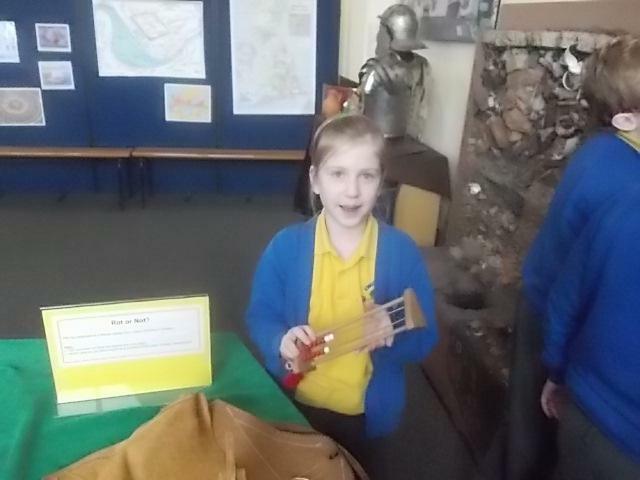 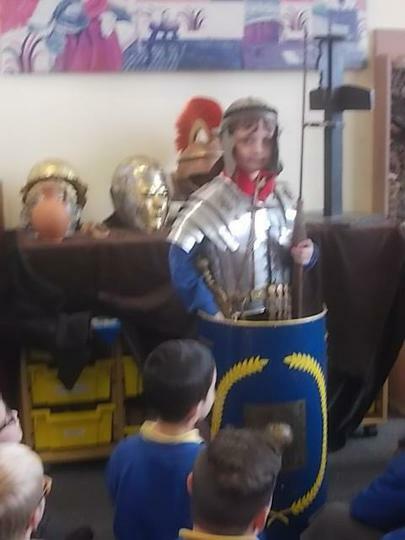 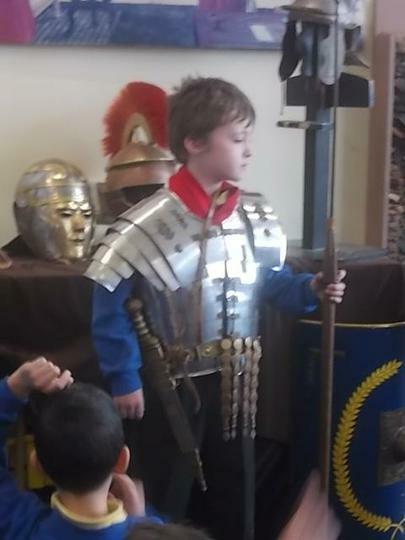 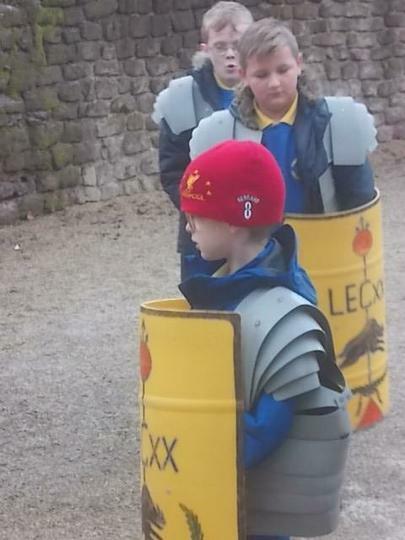 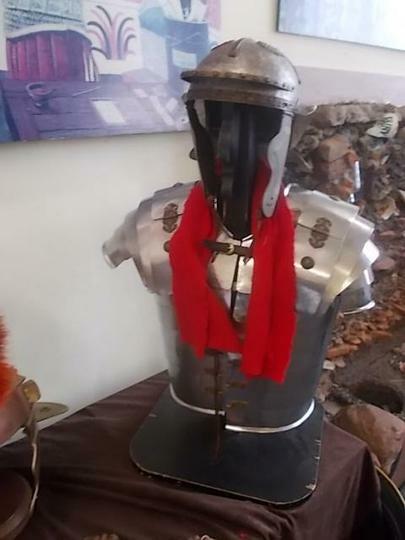 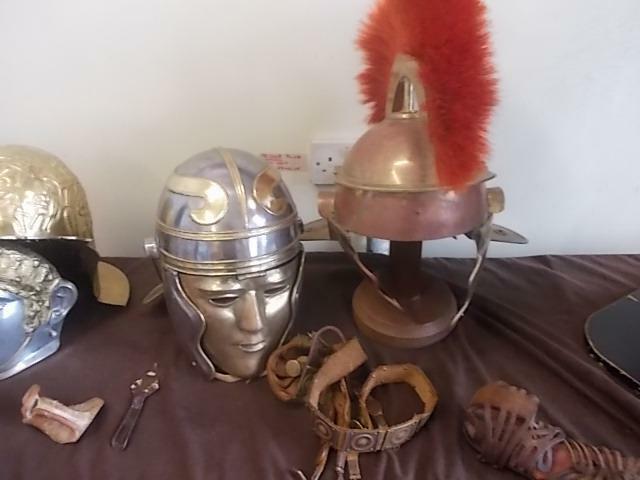 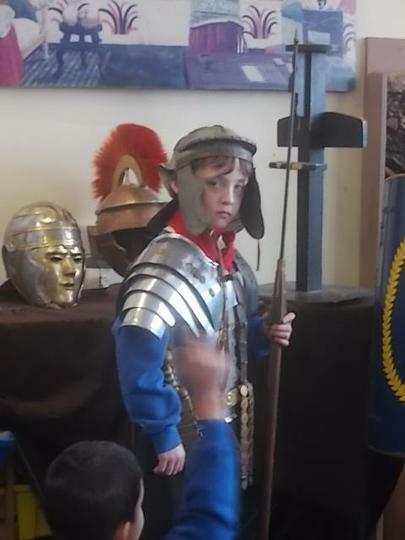 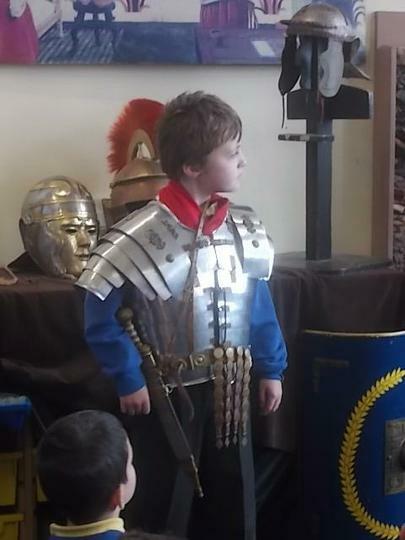 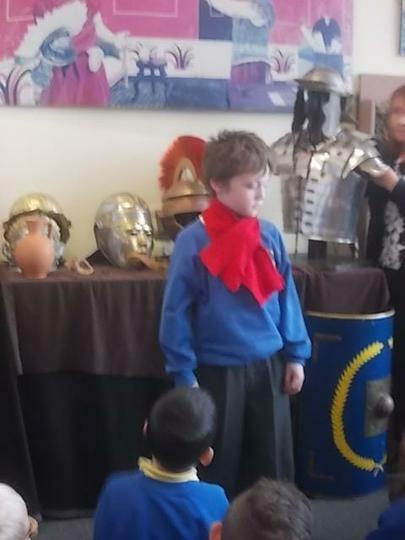 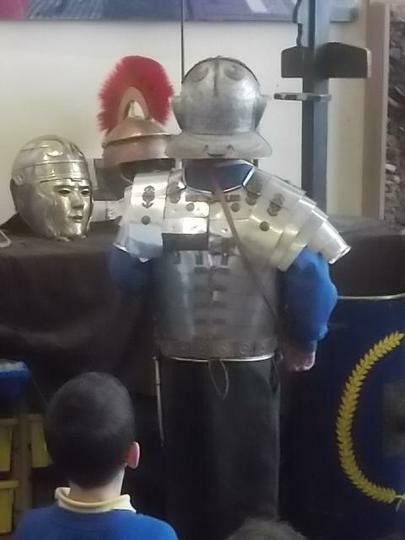 Alfie had the honour of being a Roman solider and modelled some of the armour the Soldiers wore everyday. 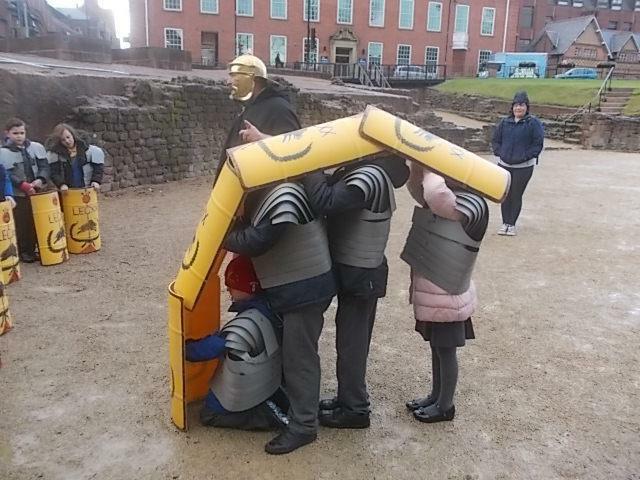 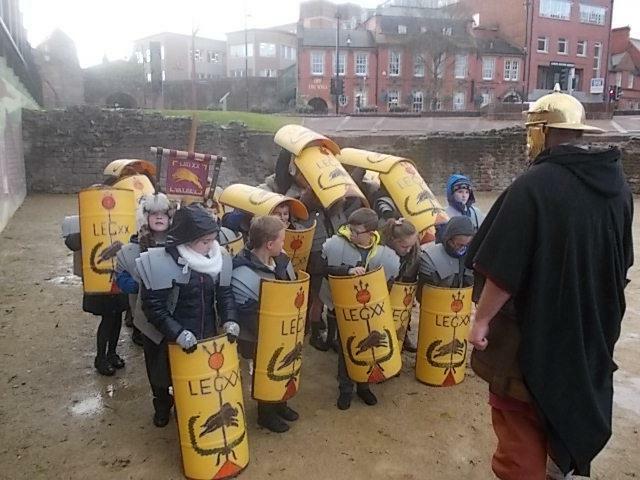 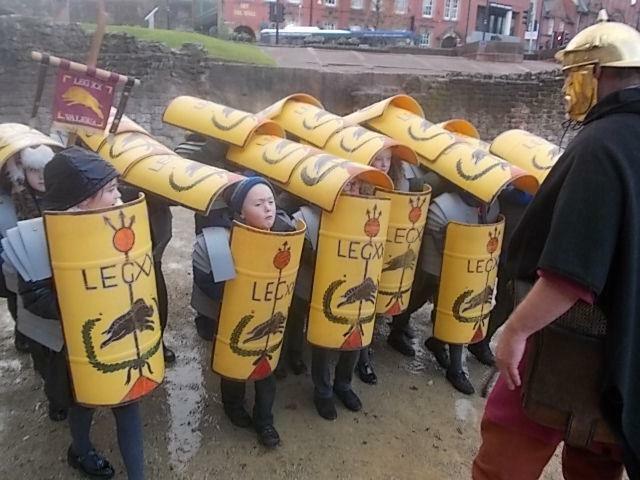 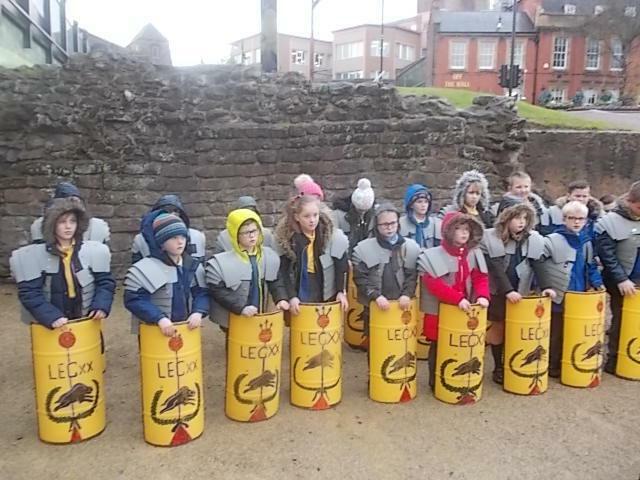 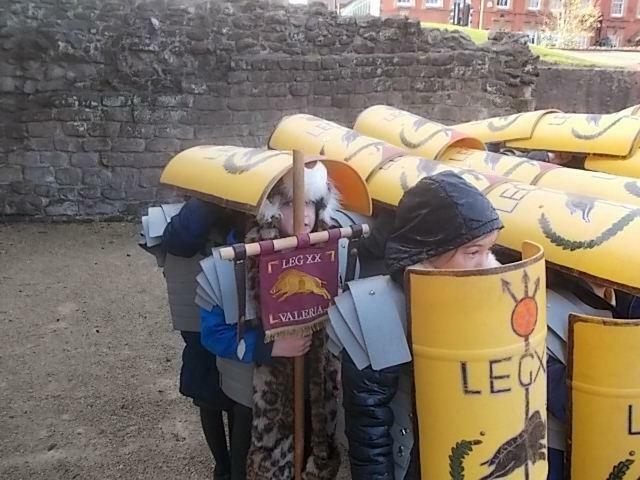 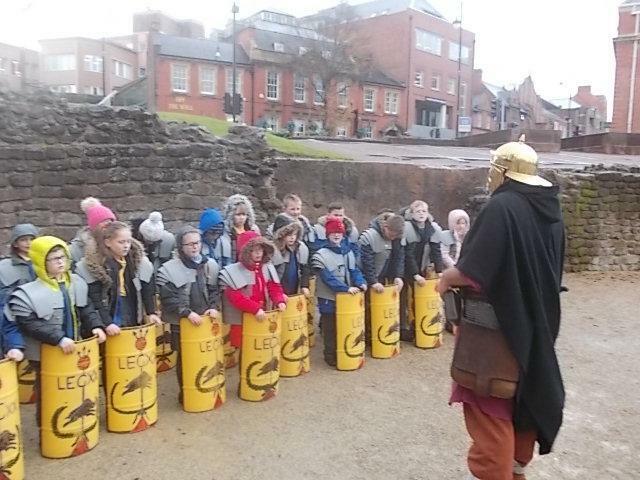 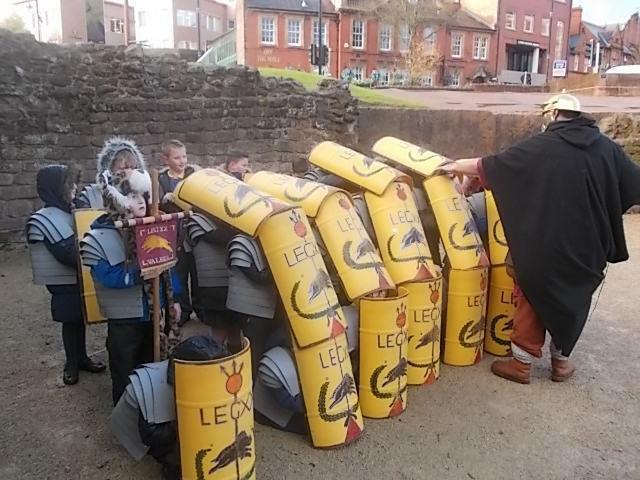 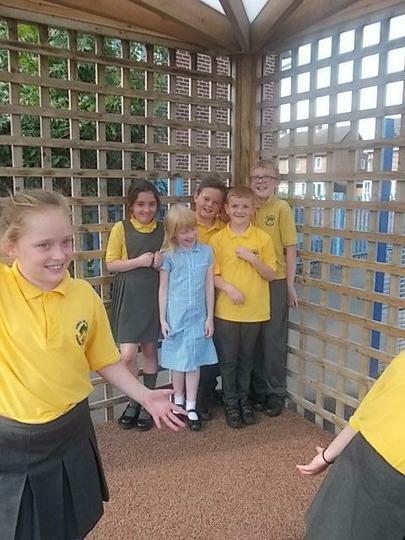 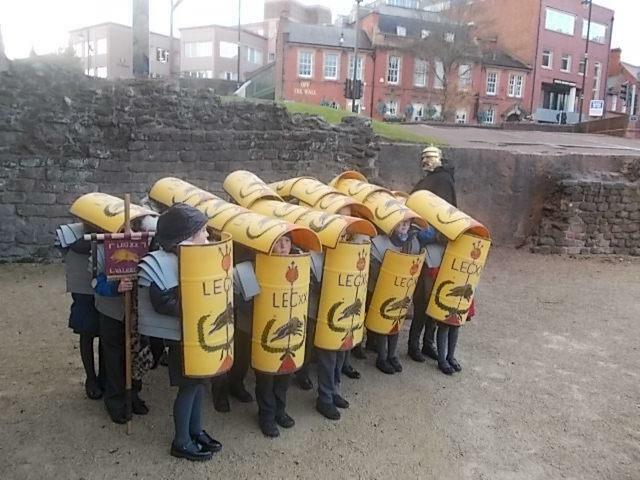 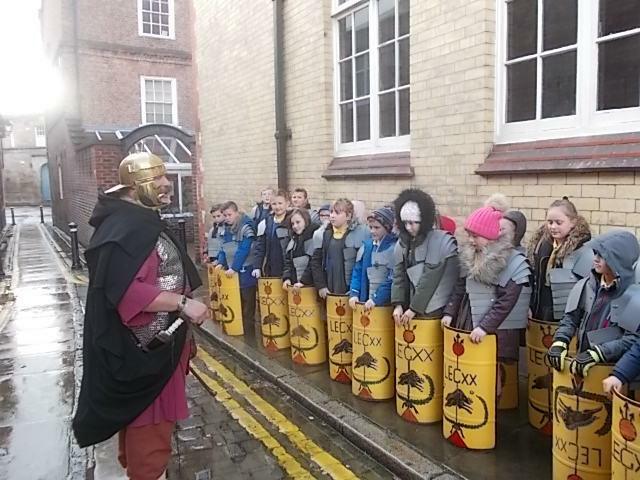 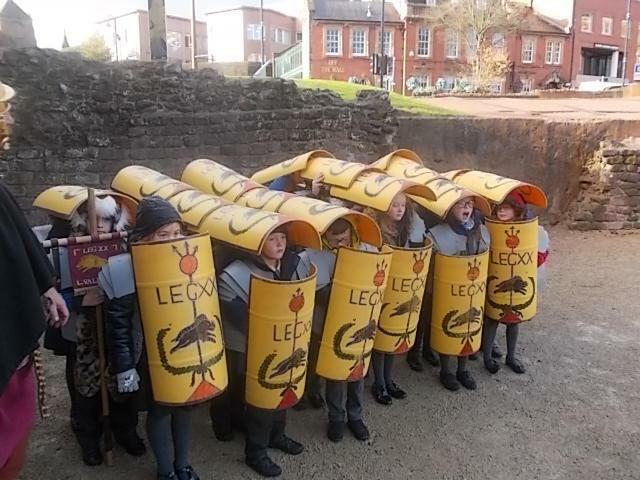 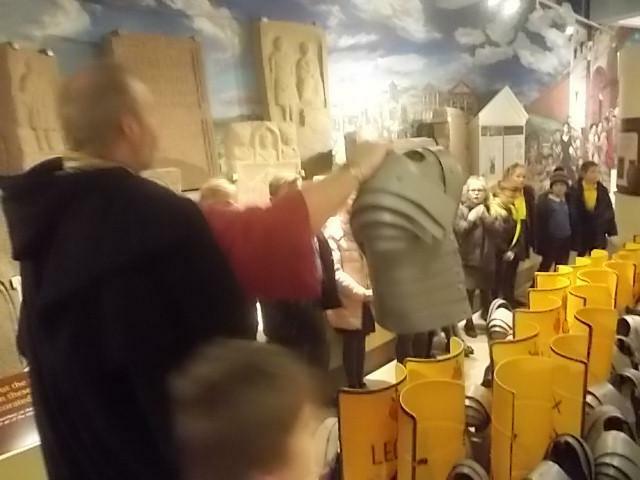 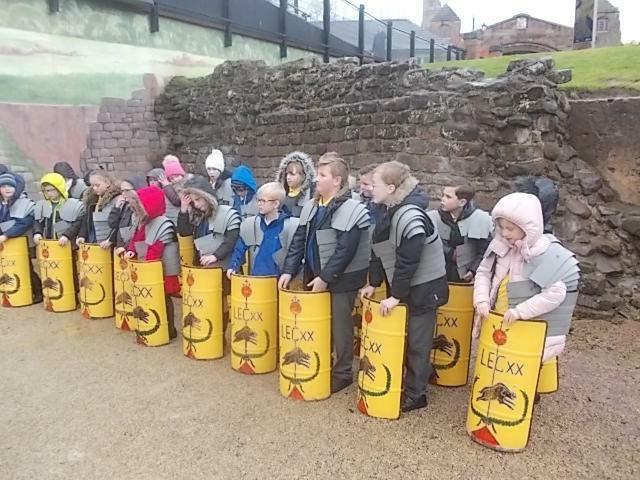 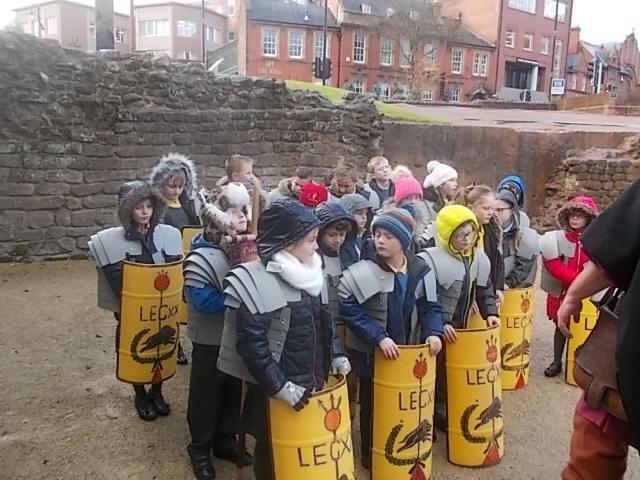 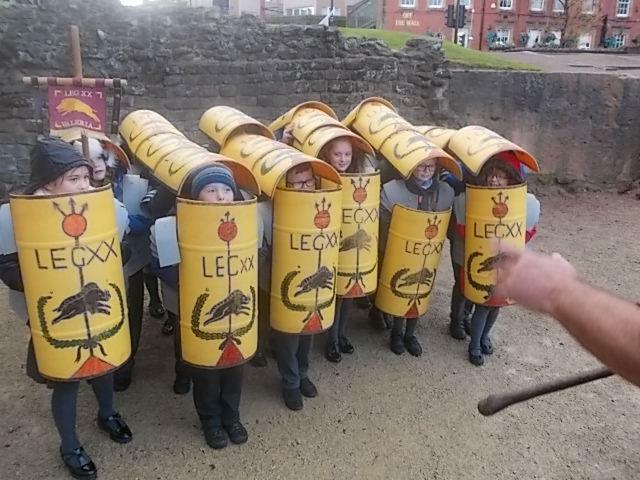 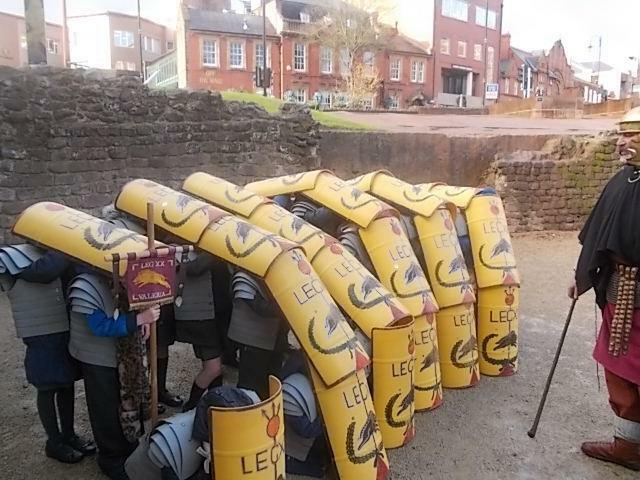 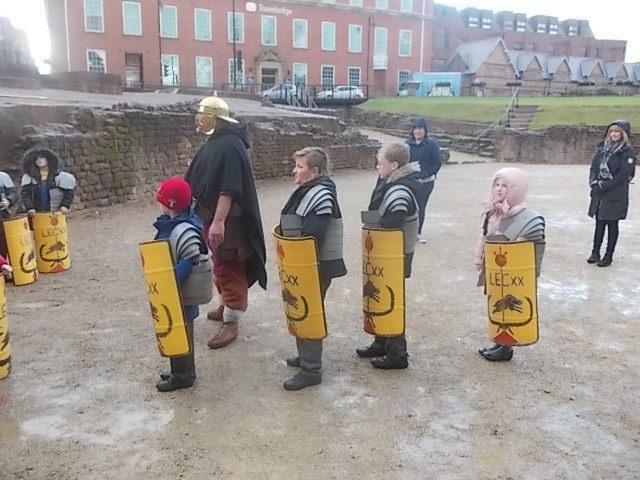 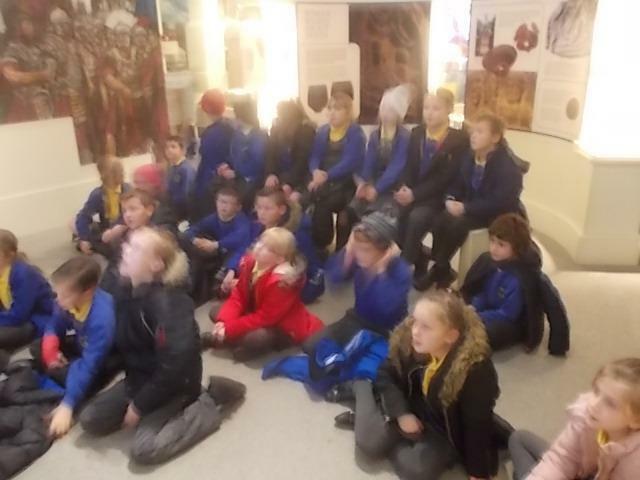 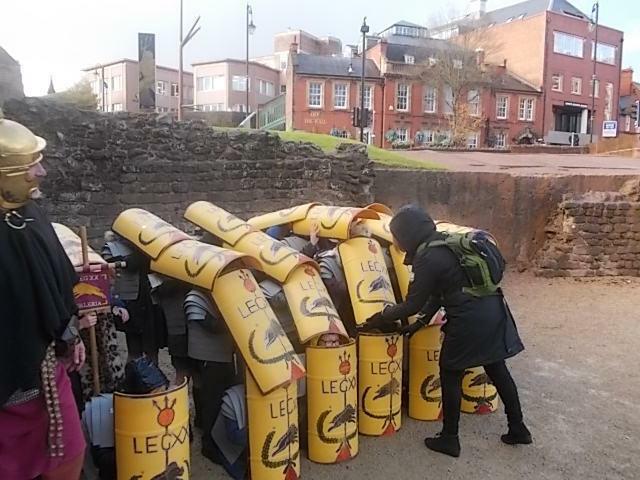 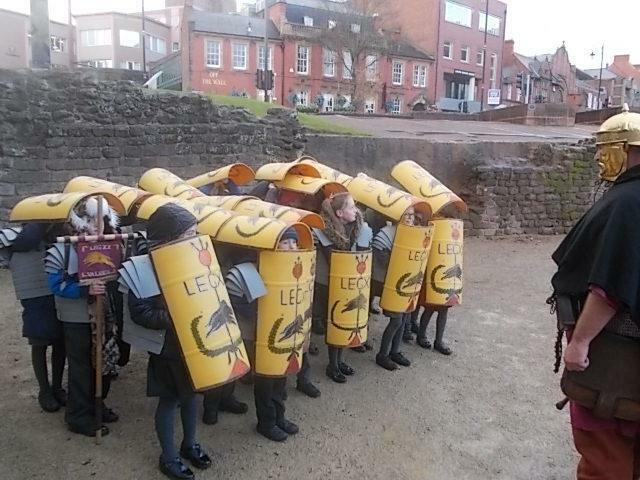 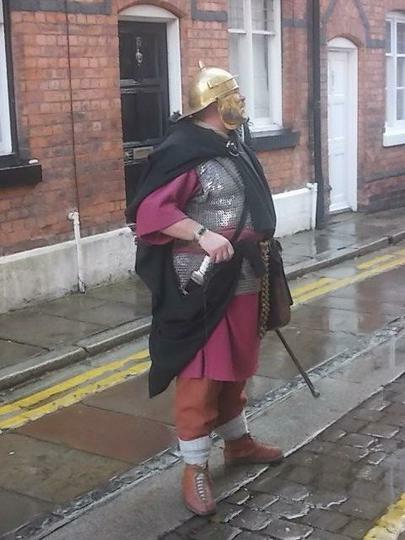 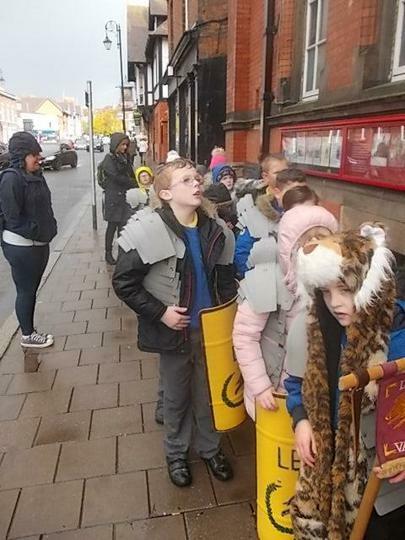 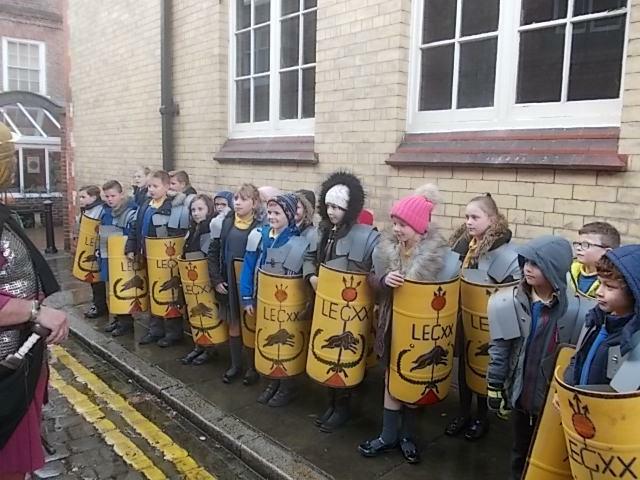 They enjoyed their Roman Soldier walk through Chester to the Roman amphitheatre - even if we did get a little wet! 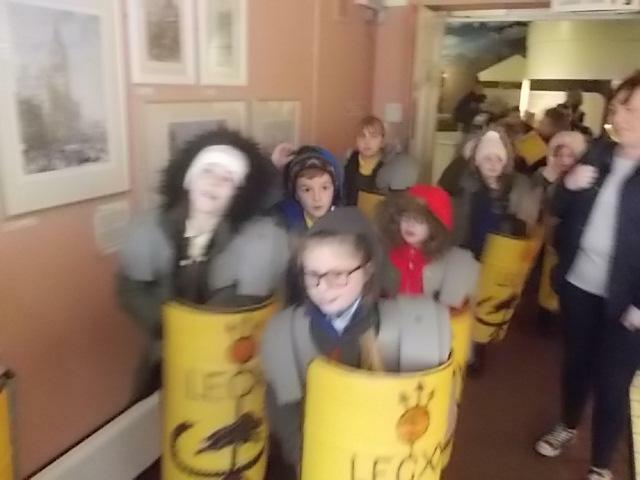 When they marched back they tried scaring some of the locals by chanting their marching song - sin, sin, sin, dex, sin. 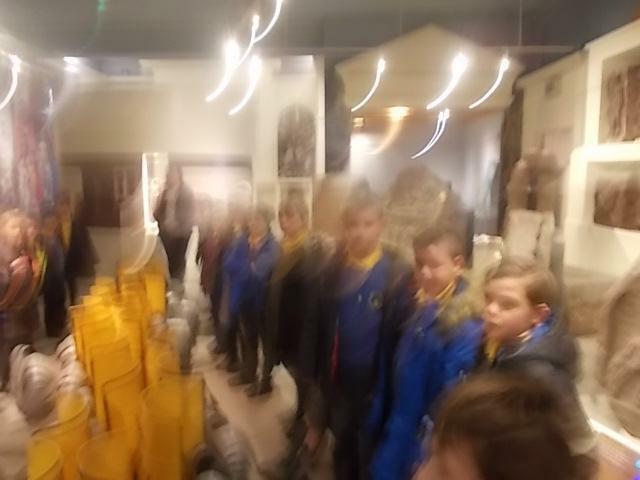 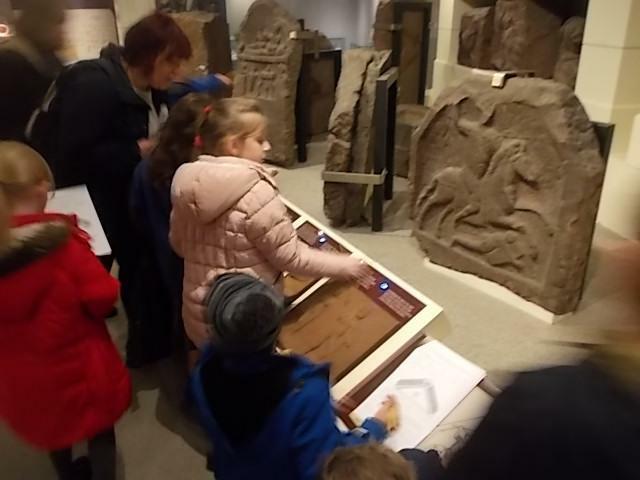 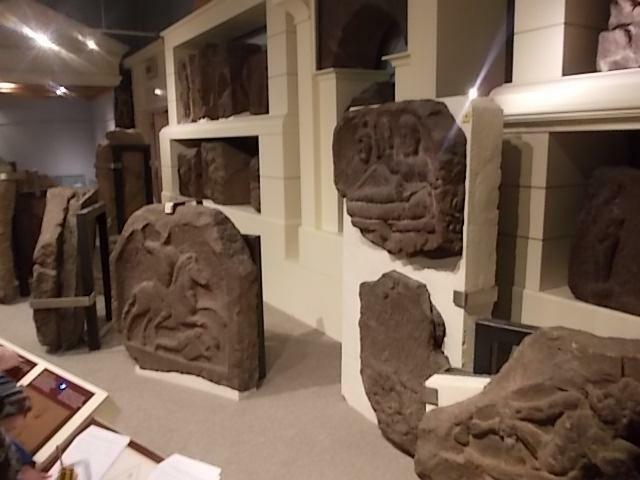 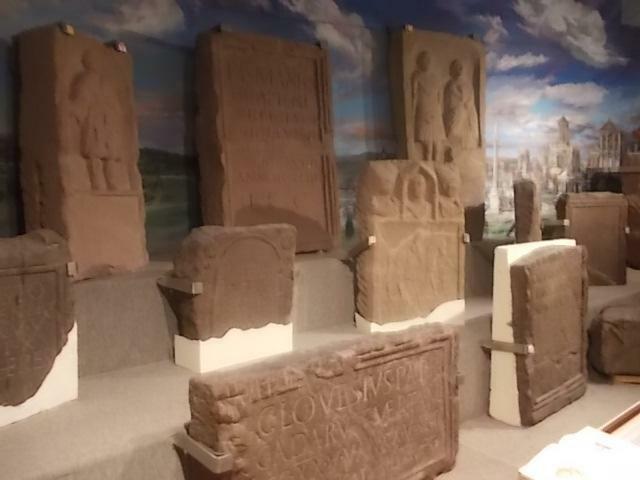 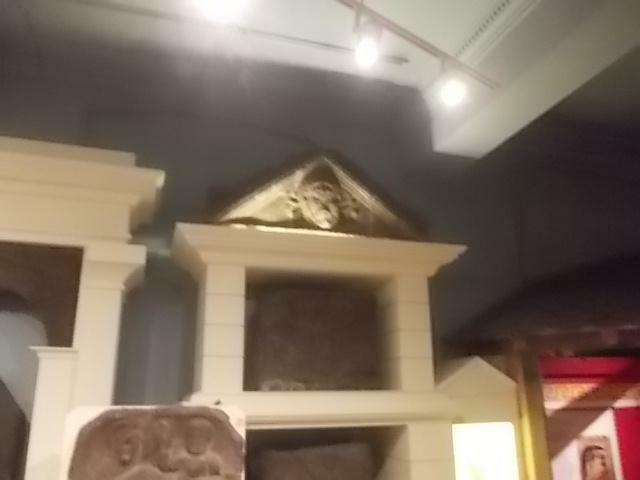 Finally, the children finished off exploring the two galleries in the museum. 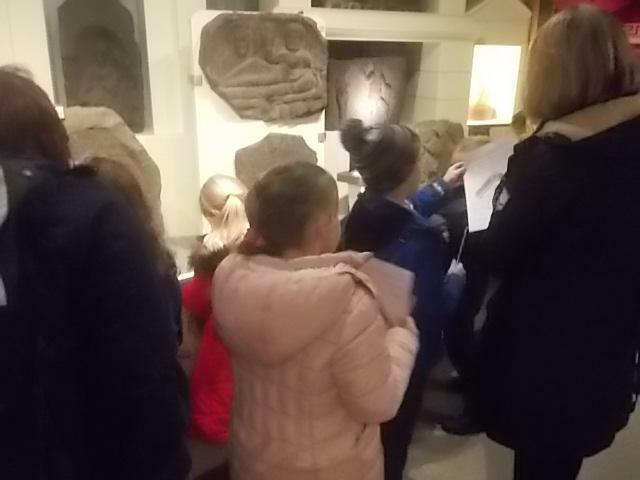 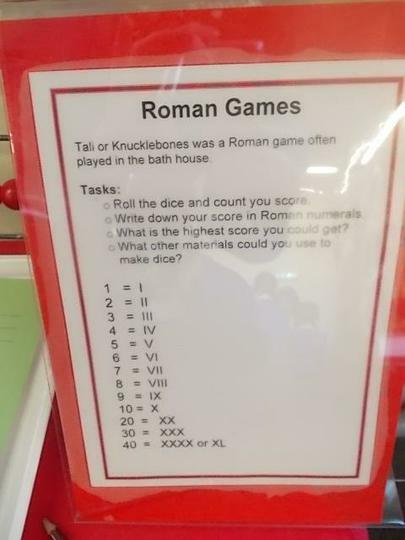 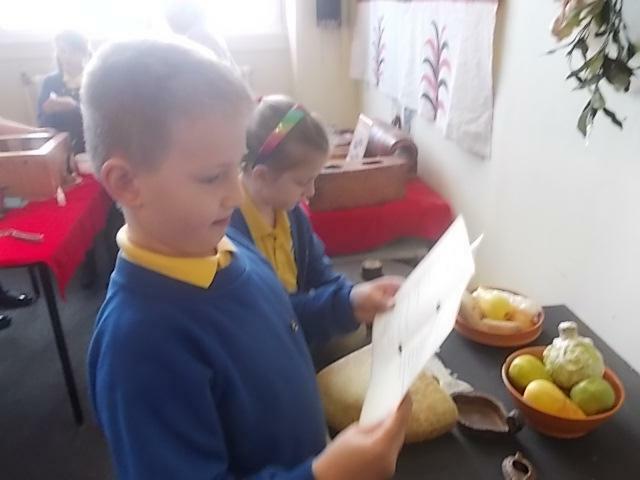 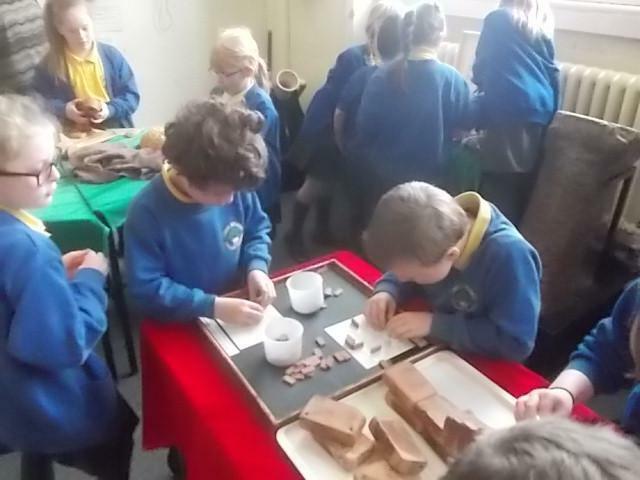 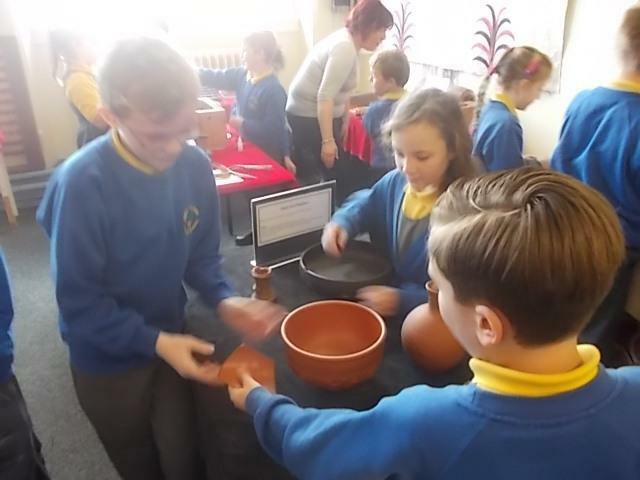 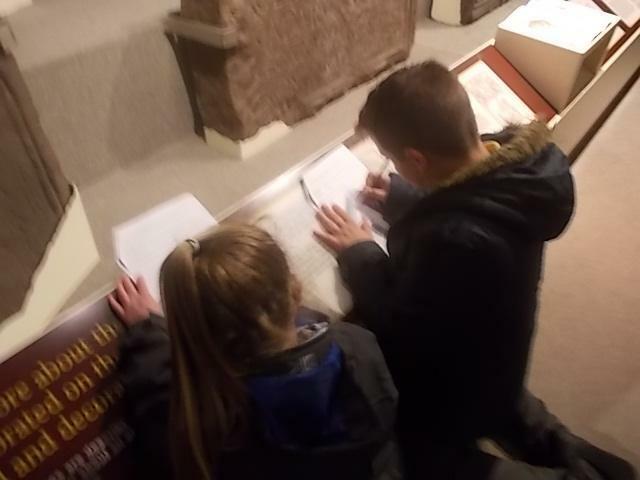 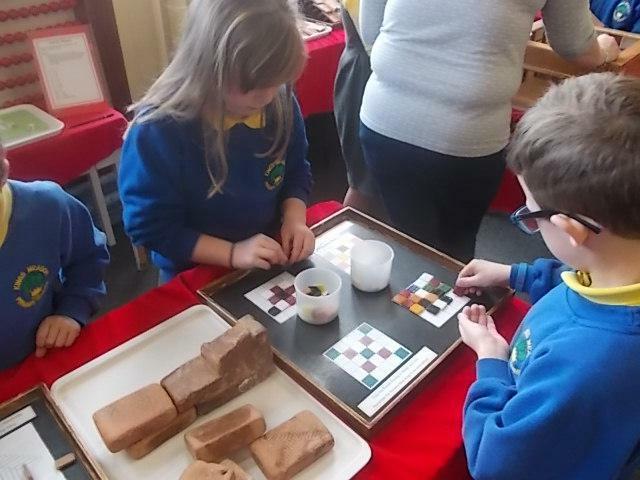 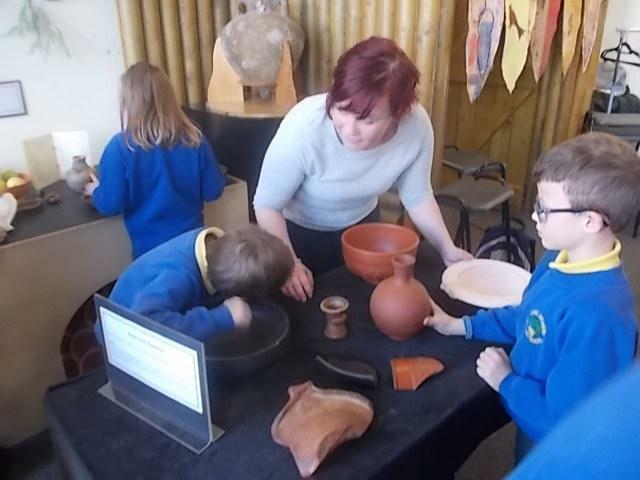 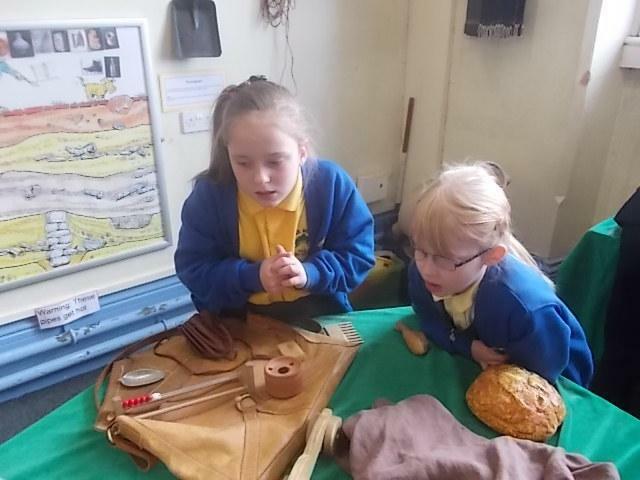 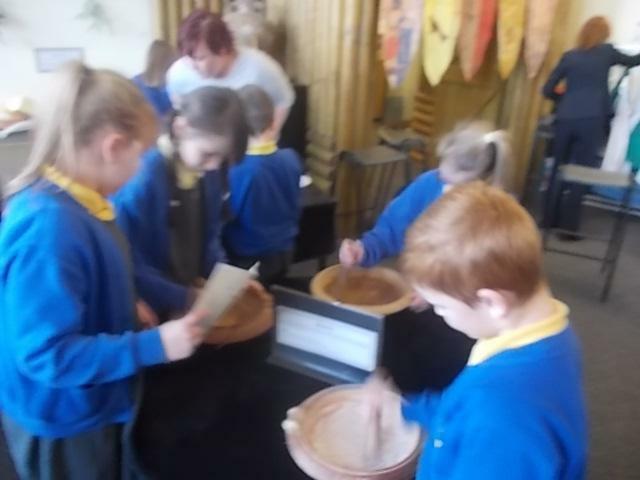 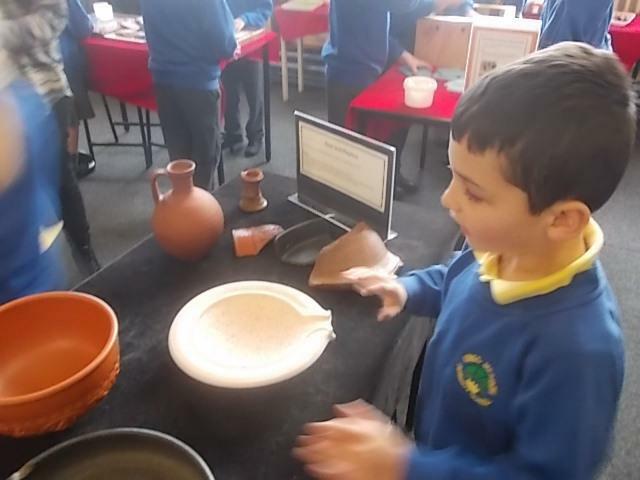 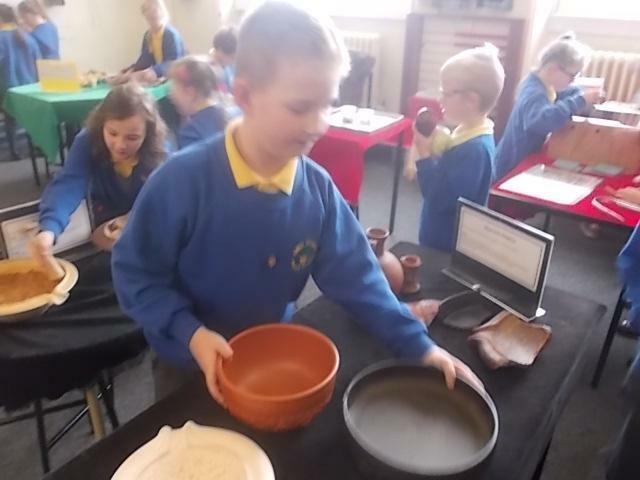 They used their worksheets to find numerous items within the galleries and watched a short video clip about life as a Roman. 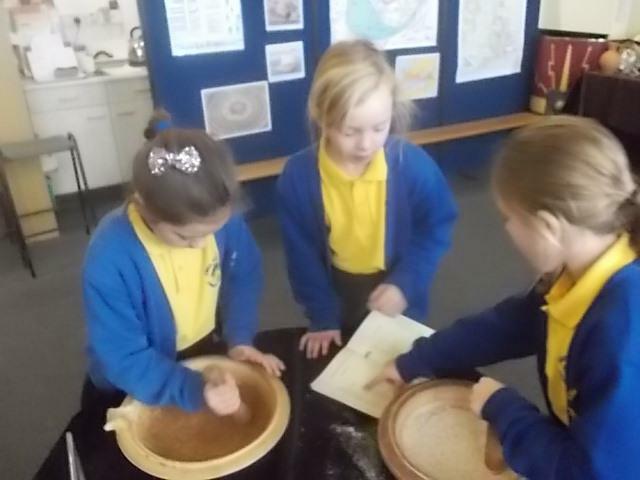 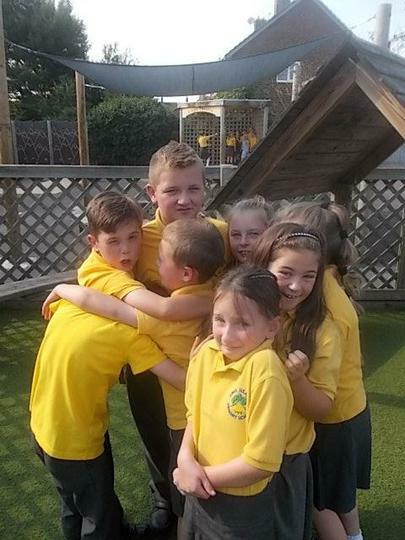 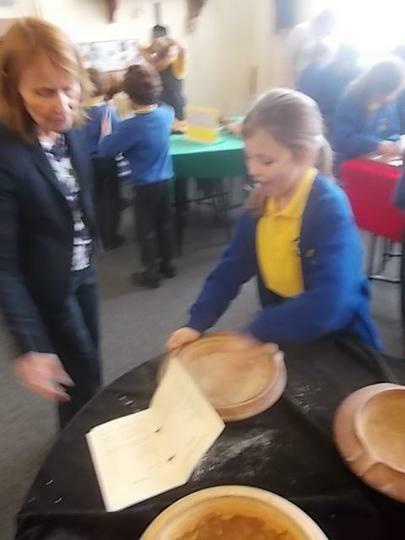 The children have been learning all about states of matter as part. 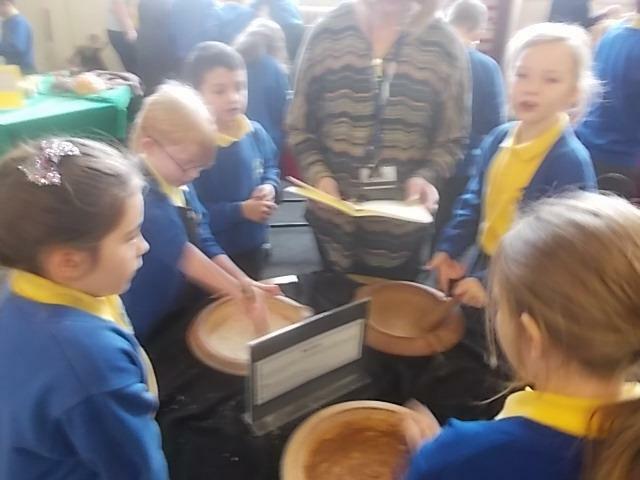 As part of their science work they have been finding out about how particles in solids, liquids and gases move around. 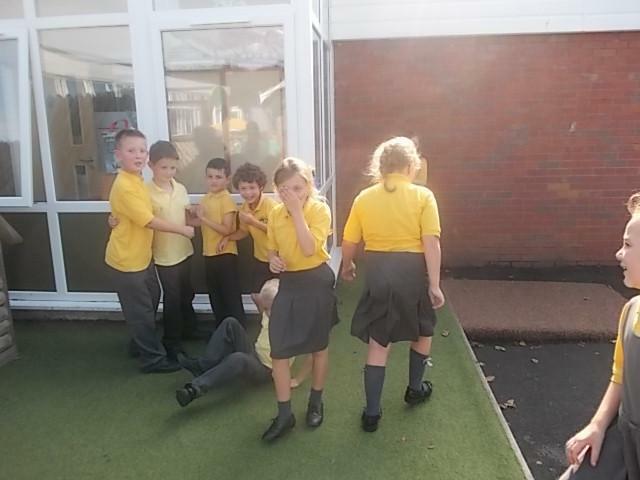 In groups they experimented being the particles and showed the differences between the 3 states of matter. 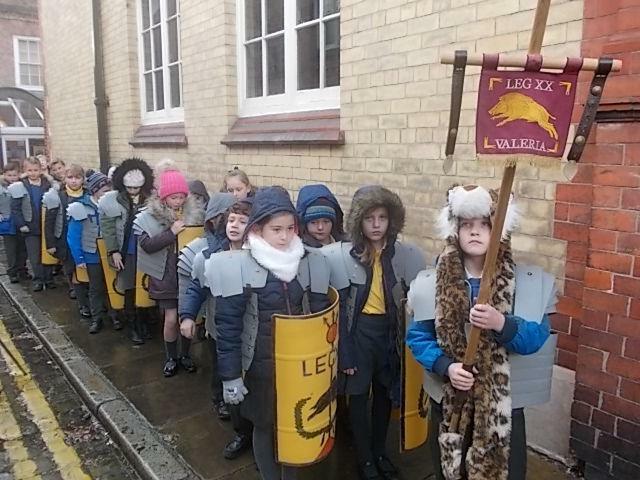 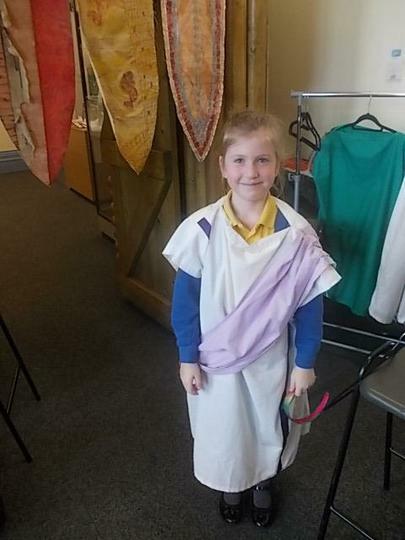 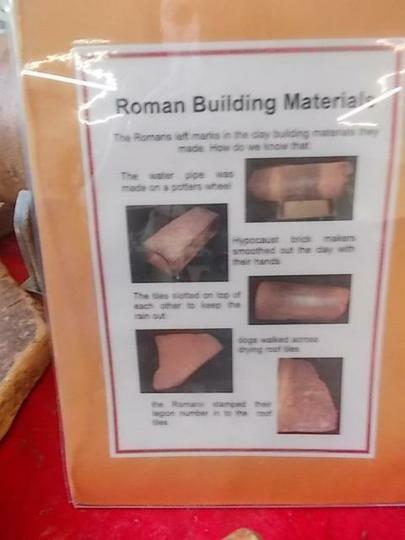 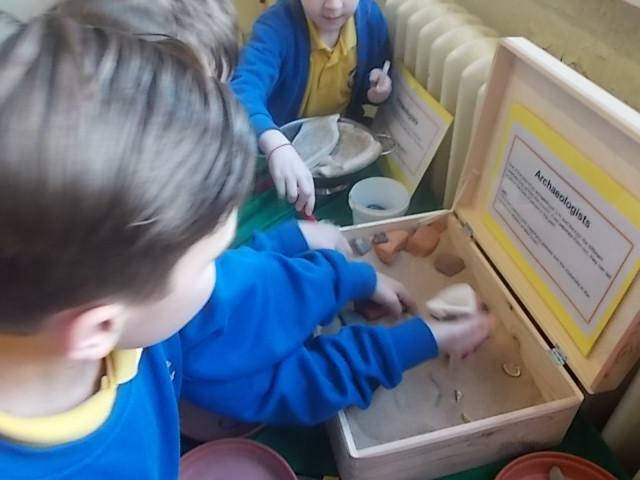 As an introduction to our Roman topic the children learnt about the story of Romulus and Remus. 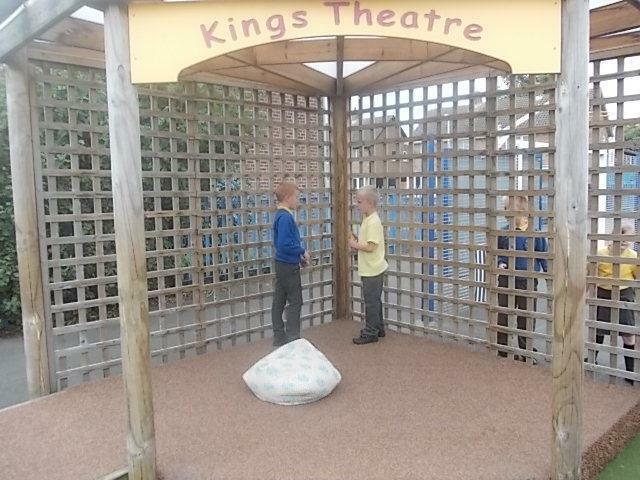 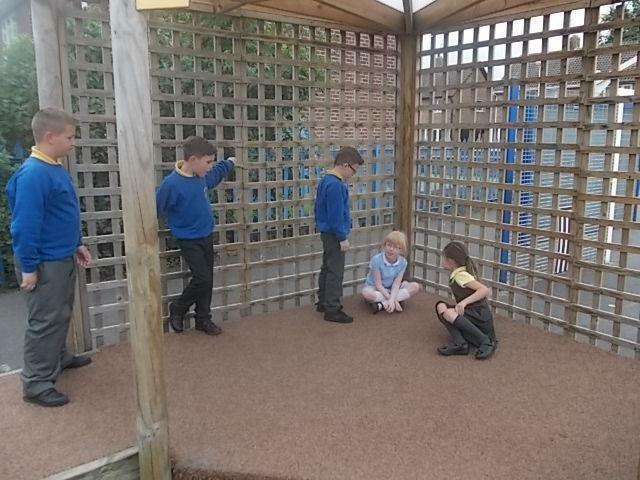 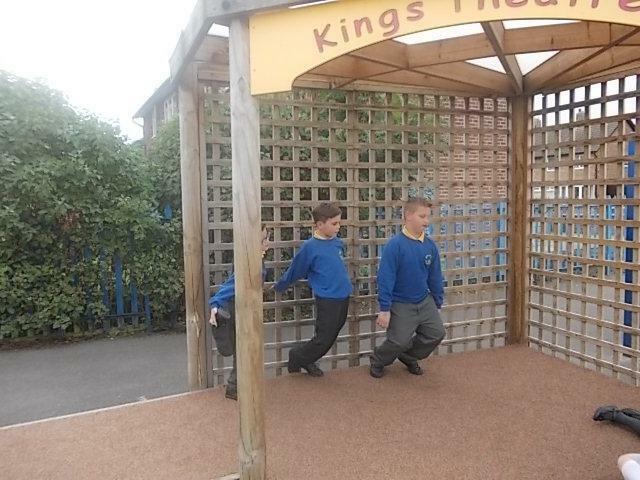 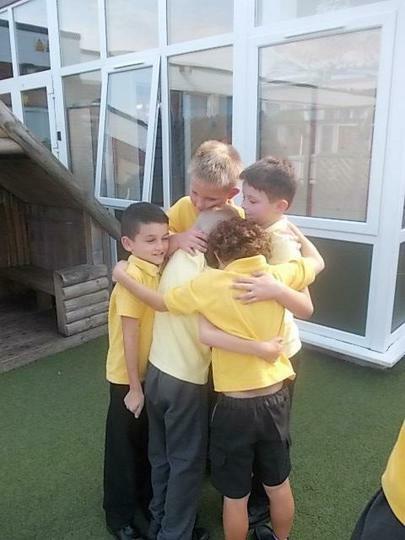 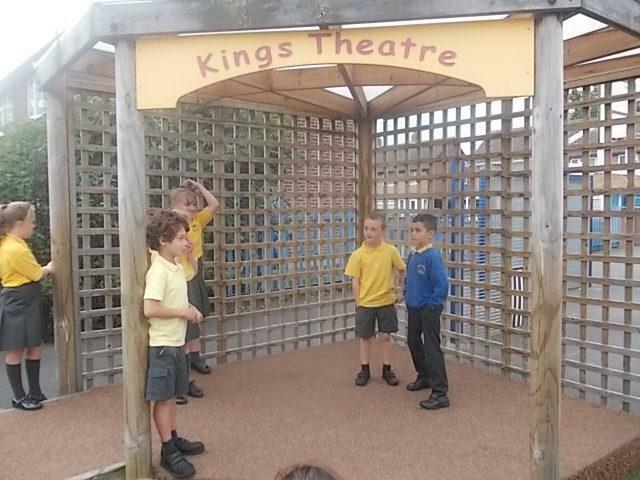 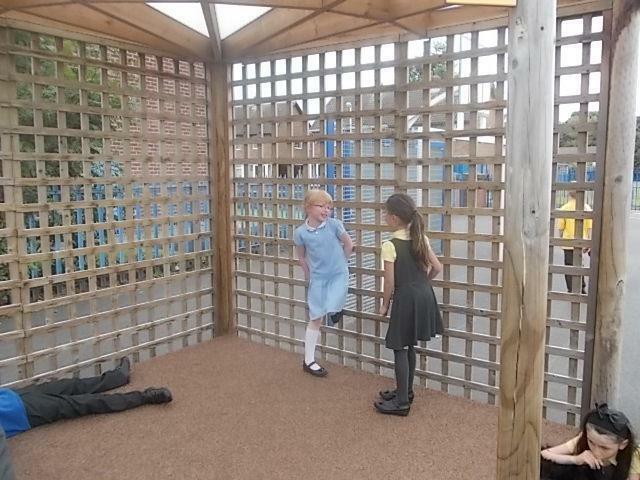 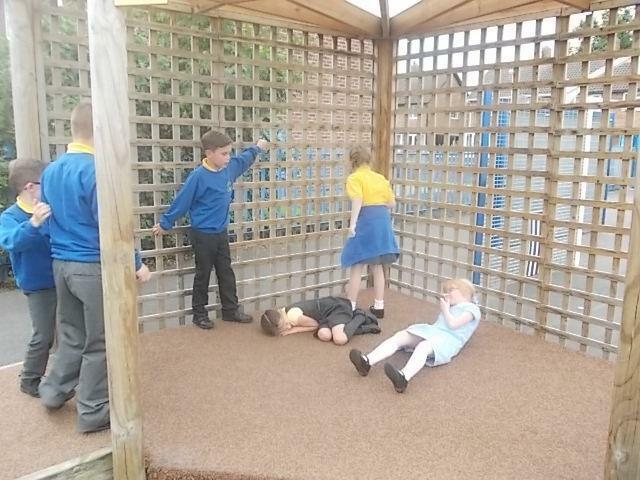 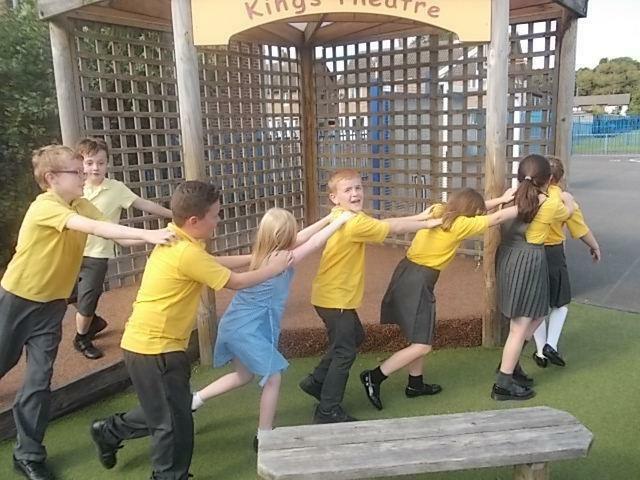 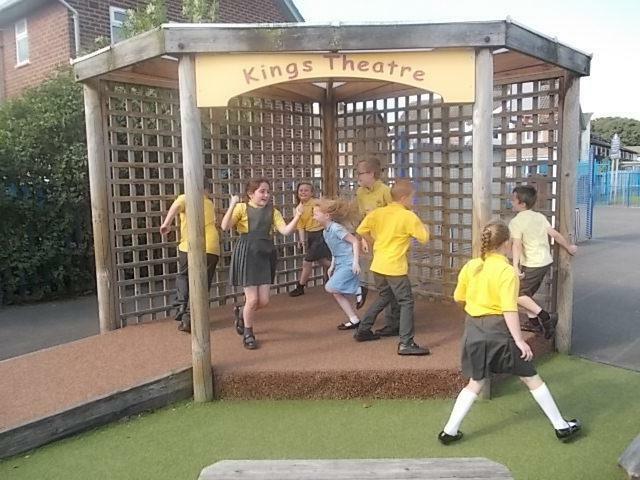 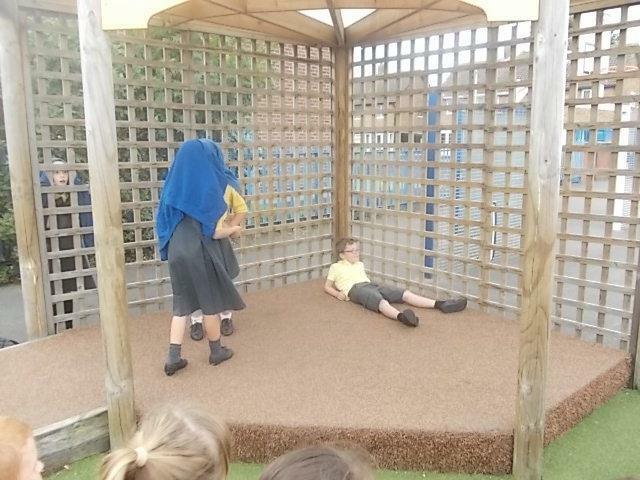 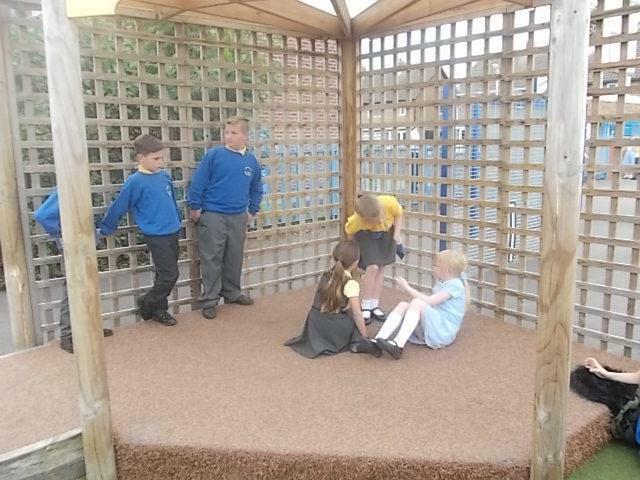 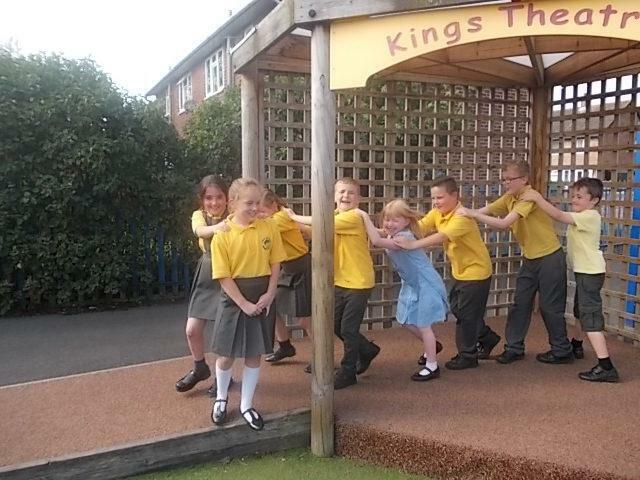 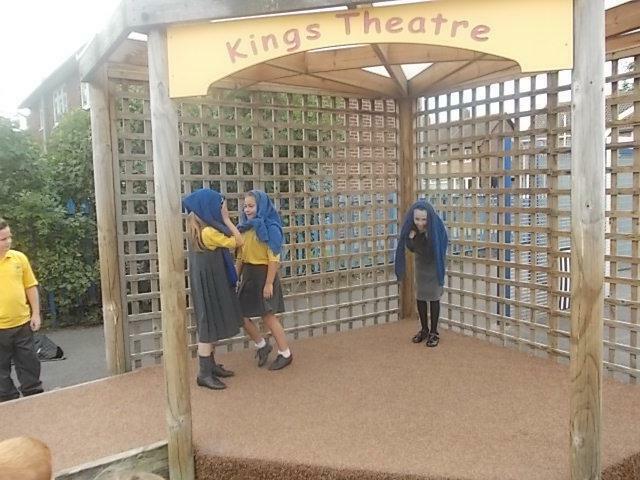 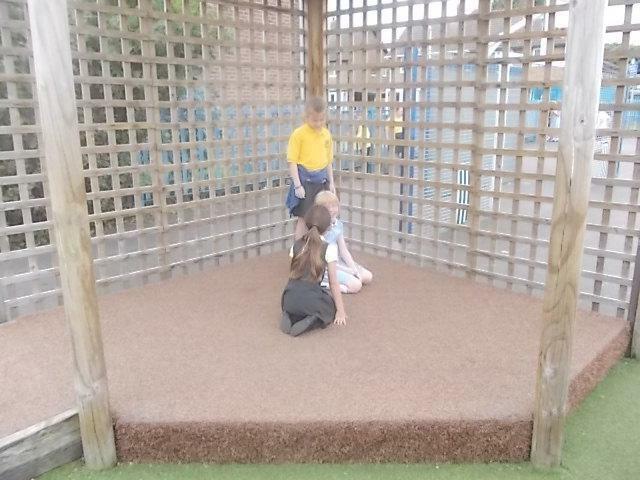 They listened carefully and then went off into small groups to perform the story.